This Friday we passed by Tokyo and Yokohama again to pick up our visas for Russia and to continue our trip through Japan – now going South! 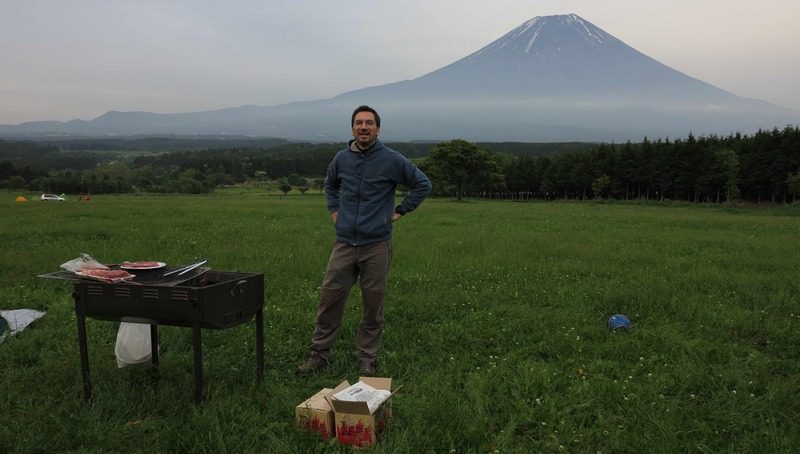 The Tocco-Watanabes joined us on the first leg of “Japan South” by going camping with us at the foot of Fuji-san. It was great!!! 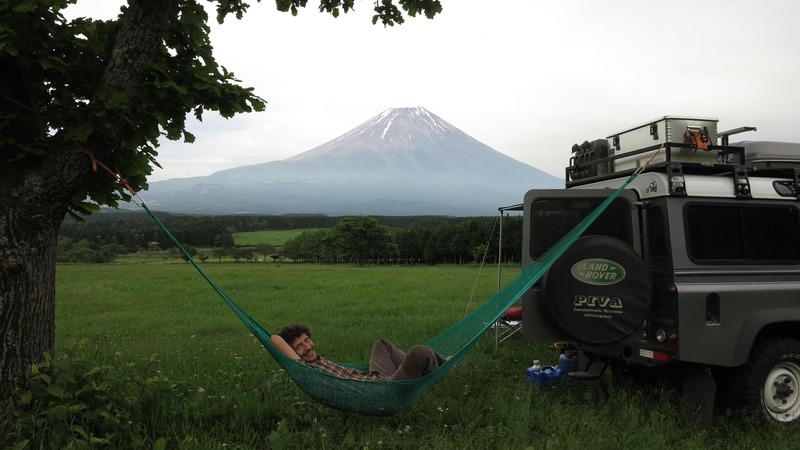 Marco-san relaxing with a view. 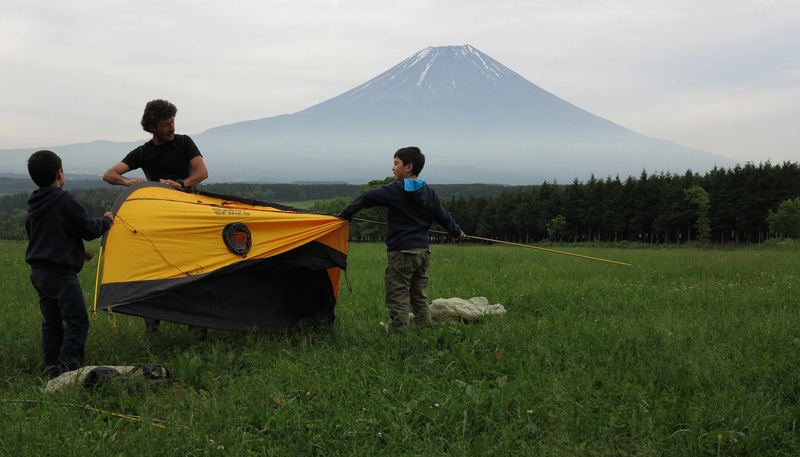 Setting up the tent with the two small ninjas. The best of Japan and the best of Argentina! Later it got very dark but not too dark for pictures! 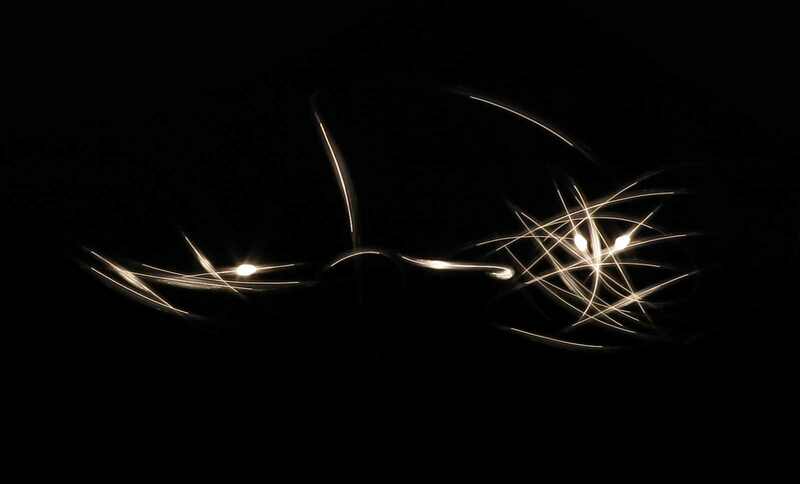 Here the two ninjas are practicing their martial art with the light swords. 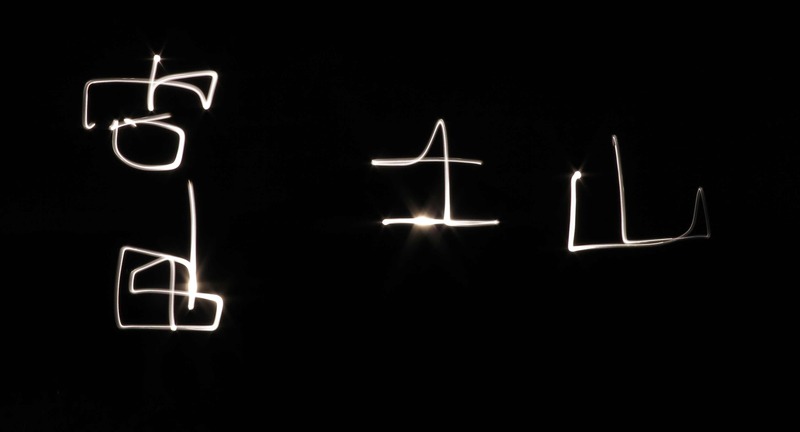 We captured the spirits of the thin air with our cameras! 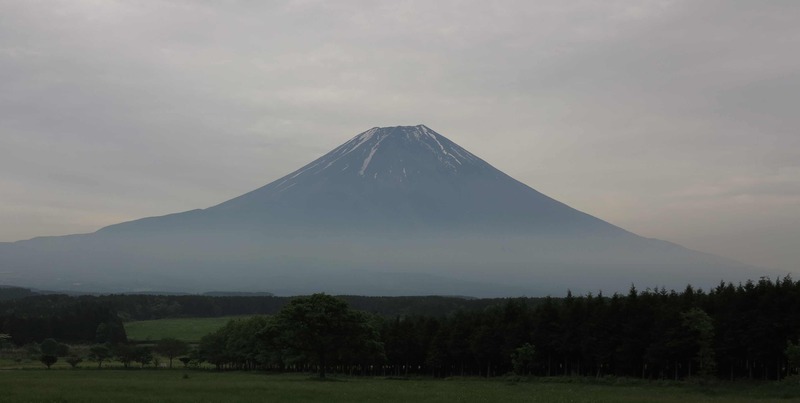 From the base of Mt Fuji we drove south and crossed over with a small ferry to the Kii Hanto peninsula. 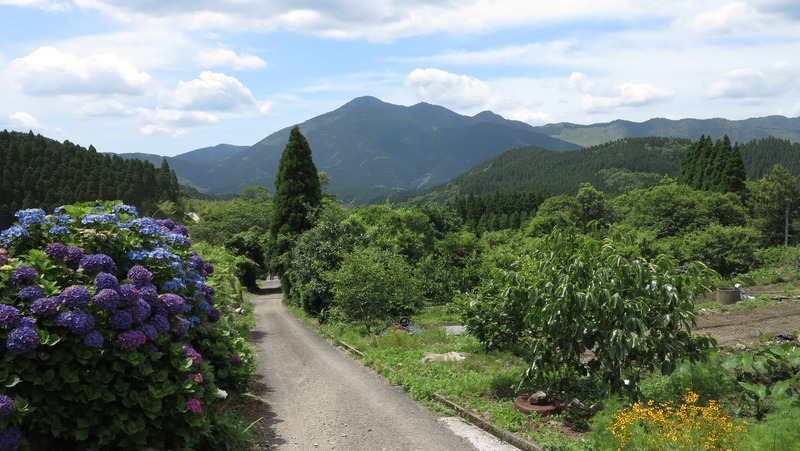 This is an area where the Shinto religion of Japan has deep spiritual roots and the mountains are full of sacred shrines and pilgrimage routes. 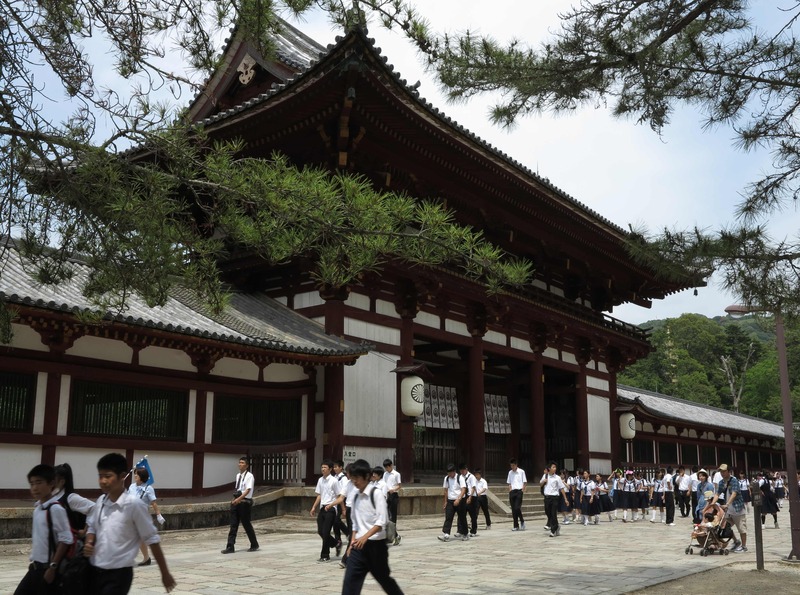 In Ise, we visited the Ise-Jingu shrine, one of the most important shrines of Japan. It is so important, that its high priest must always come from the Japanese imperial family. The shrine is dedicated to the goddess of the sun and the universe. She is also the “mother” of the imperial family. 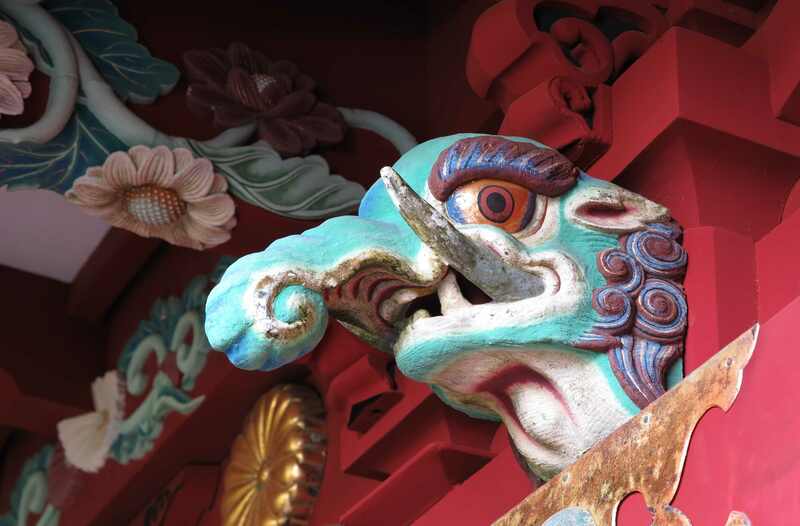 Since around the year 690, the shrine buildings have been destroyed and rebuilt every 20 years as an act of purification and as part of the Shinto belief of the transient nature of all things. The last rebuilding was in 1993 and so this year, 2013, is the year of the rebuilding number 62. 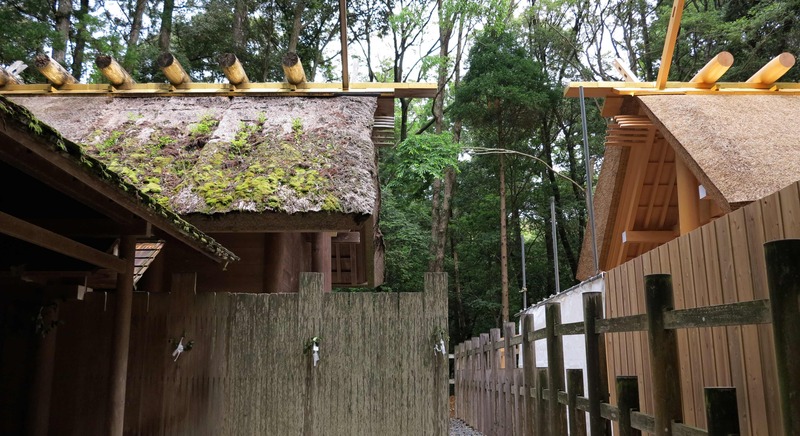 This is the best time to visit as the new shrine buildings are erected next to the old ones. 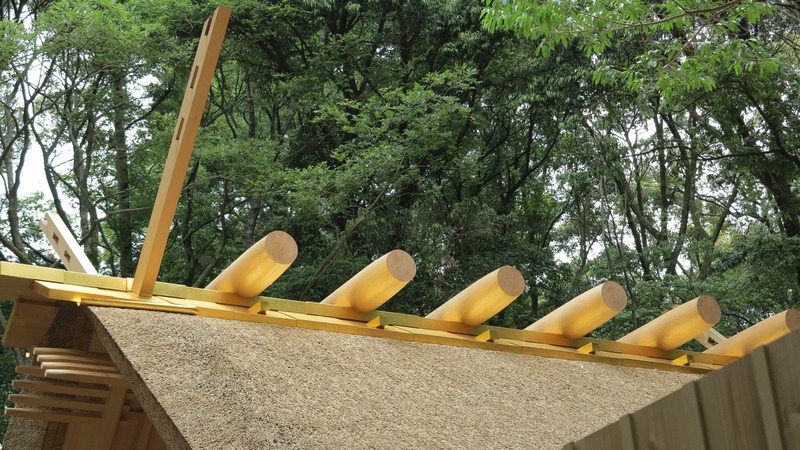 The architecture and the way of building the structures is exactly the same as 1300 years ago and it is fascinating to see the exhibition on how the shrine buildings are produced without the use of a single nail. Every piece has to fit into the other pieces like a grand puzzle made with huge precision and hand tools by skilled carpenters. 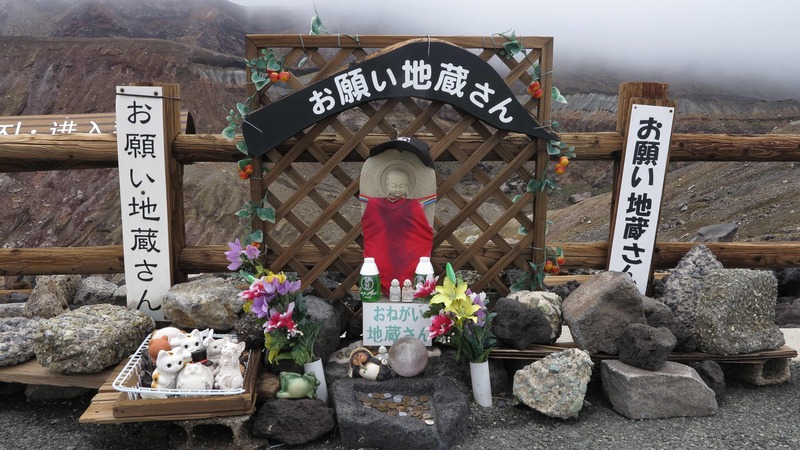 On the photo below is one of the minor shrines where it was possible to get a little bit closer and to take photos. The new shrine building is erected on a site next to the old shrine building, and like this the location is alternating every 20 years. Once the new building is complete and the inauguration ceremonies have been performed, the old shrine building is destroyed and the site is left empty for the next 20 years. 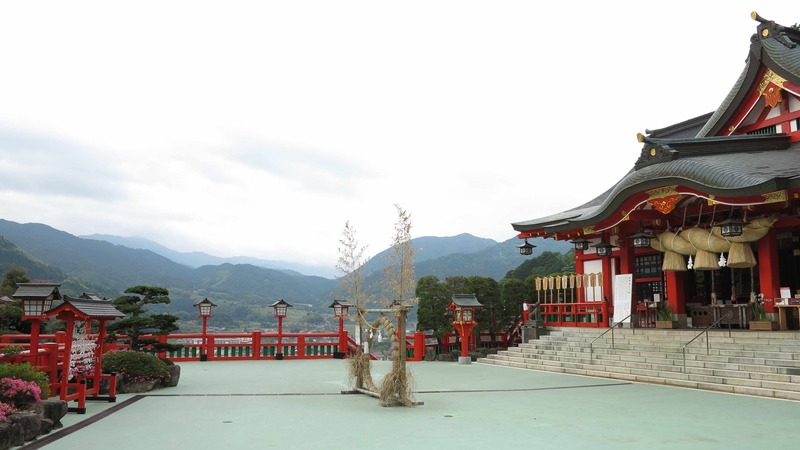 The architectural style is very basic and follows the ancient style from the very first shrine buildings. Here a beautiful old roof. And here the new roof on the identical new building. 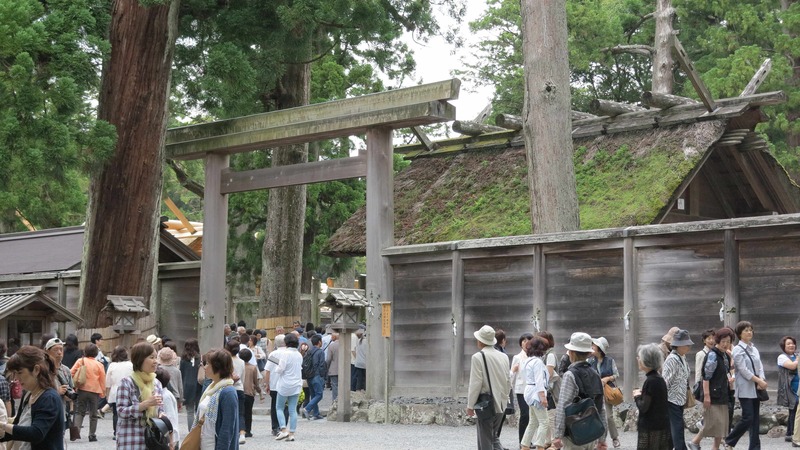 The Ise-Jingu shrine is a very popular and important place for the Japanese to visit. 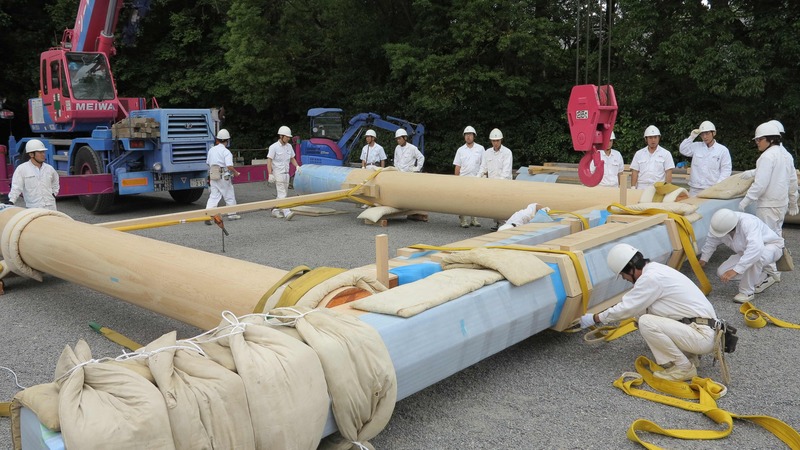 Also the big torii gates have to be rebuilt every 20 years. Here a bunch of workers are preparing to erect one of the new gates. 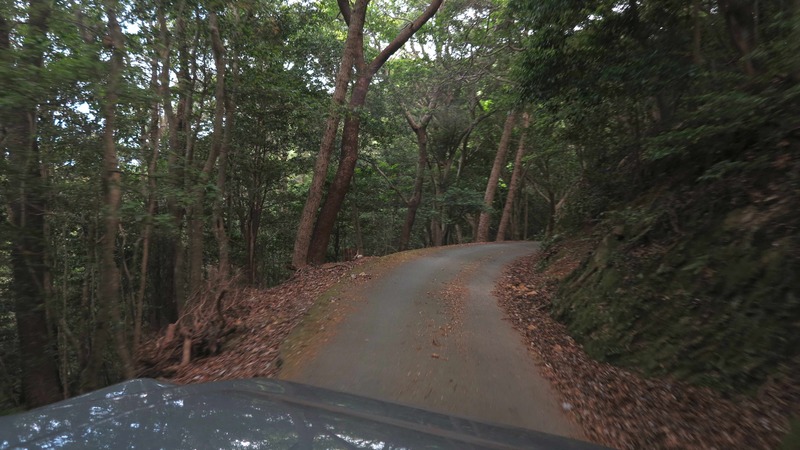 From Ise, we drove further south on the Kii Hanto Peninsular on small, sometime VERY small roads, which were winding their way through the mountains. 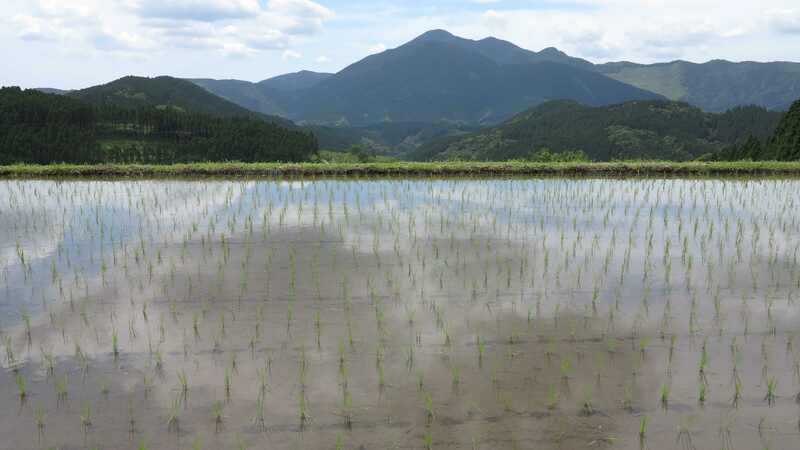 From time to time we were awarded with views like this over the forest covered mountains of the Kii Hanto peninsular. 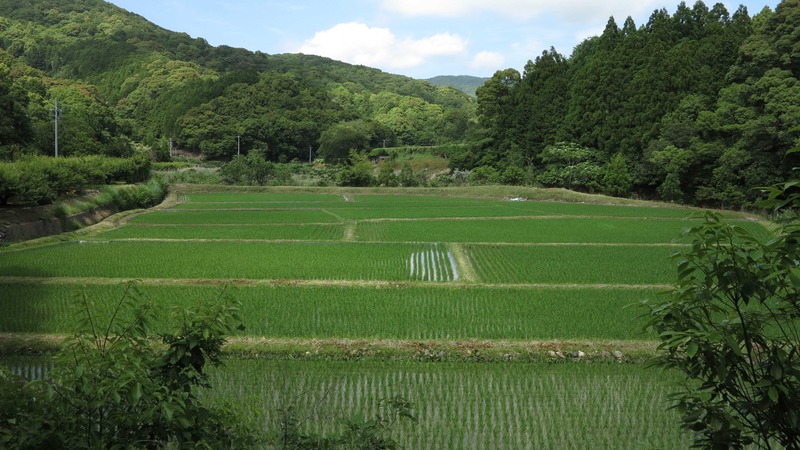 And we passed through small villages with rice fields. 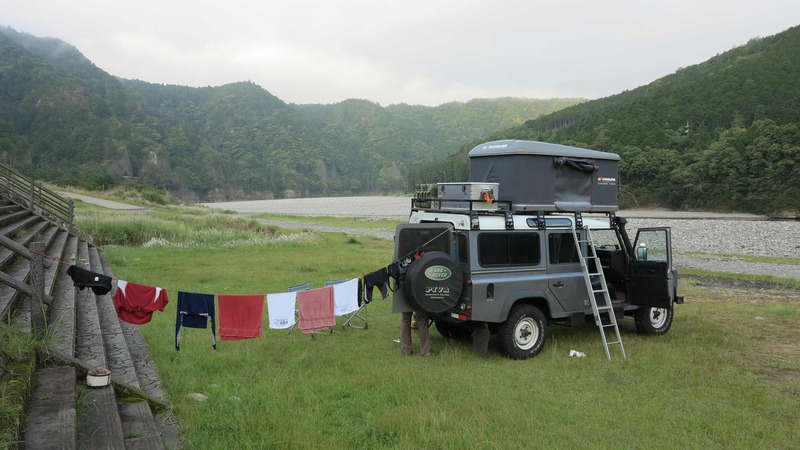 At night we slept on the bank of the Kumano-gawa river. 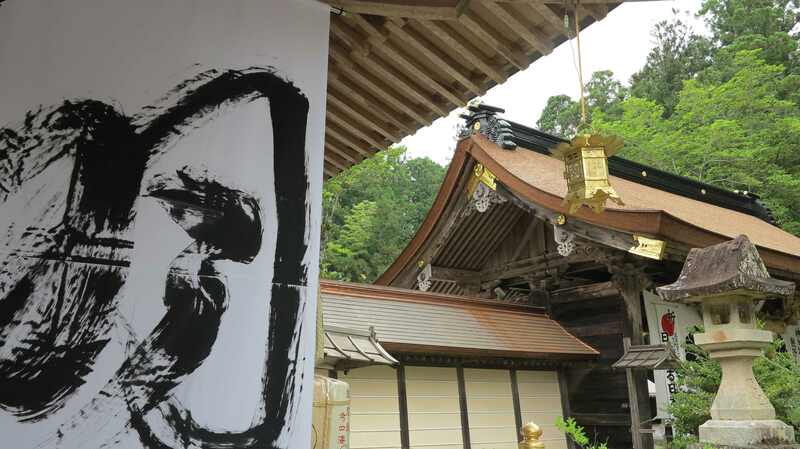 And finally we arrived to Kumano Hongu Taisha, one of the 3 major shrines on the Kumano Kodo pilgrimage routes. 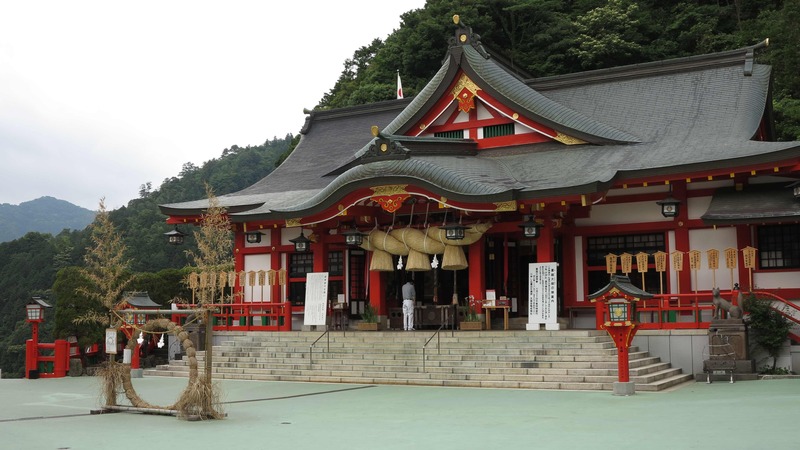 It is built in the old style, similar to the Ise-Jingu shrine. 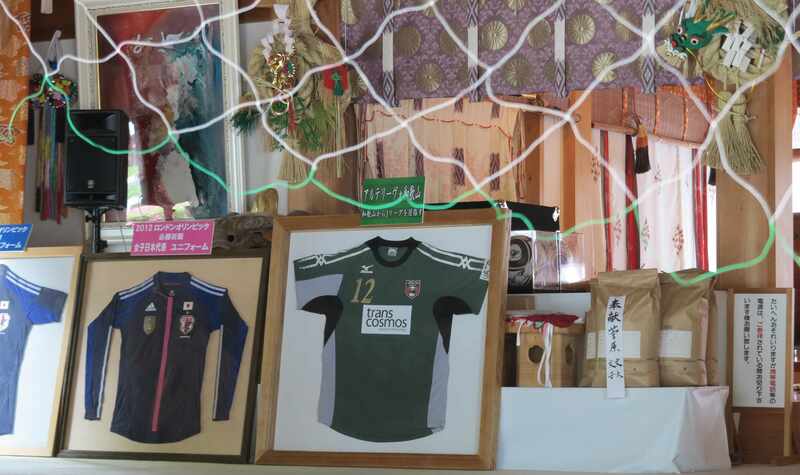 Here are offerings to the temple, also from the local football team. The souvenir shop – and there to the left is the “stampo” table!!! See the next photo. 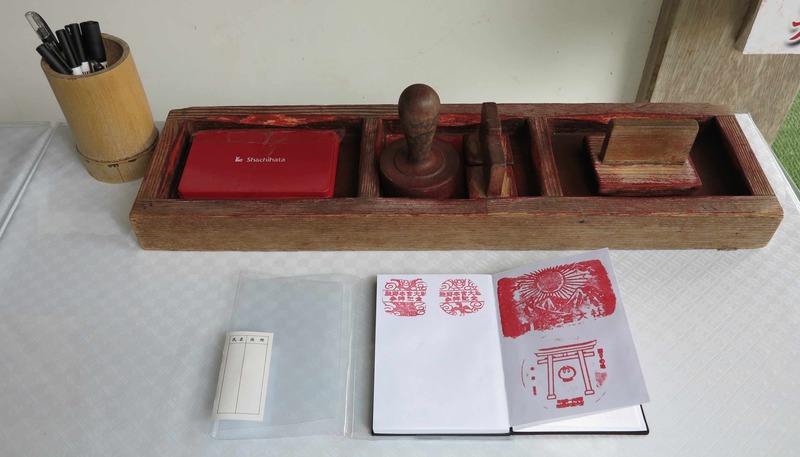 The “stampo” is an extremely important part of Japanese culture. 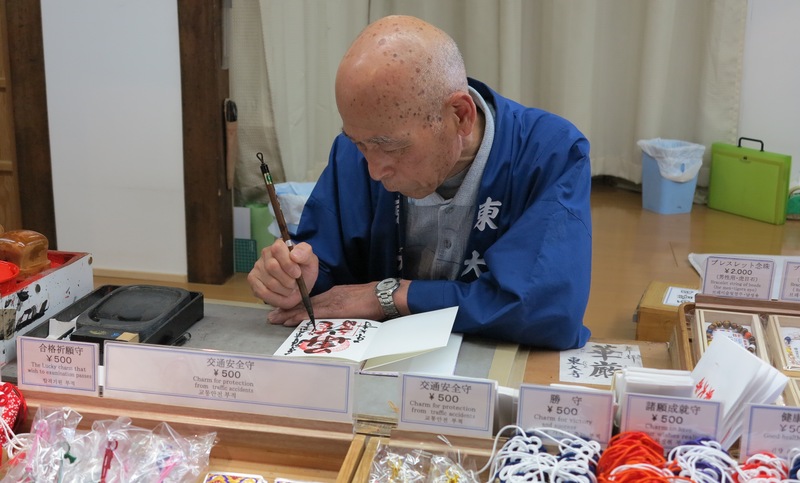 You can collect stampos at temples and shrines and for 300 Yen you can even get a hand-written one by the monks directly in your “stampo book”. 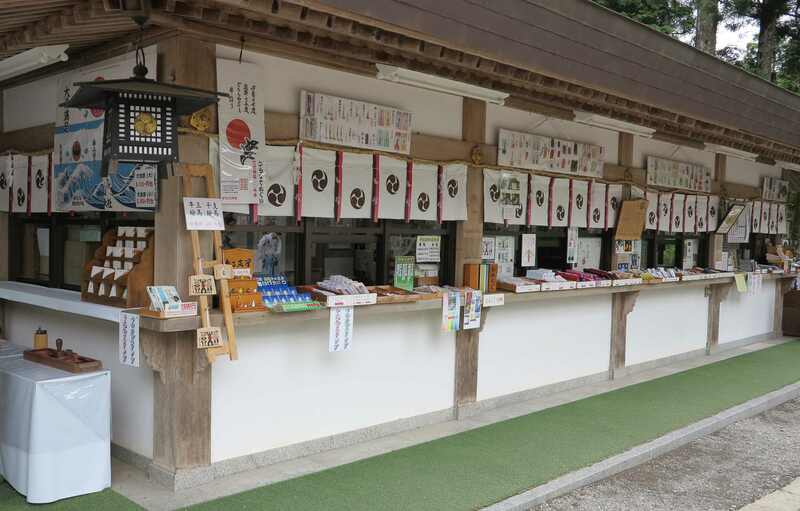 But you can also collect stampos at resting areas along the express ways or in tourist offices as well as at other cultural attractions like japanese gardens, castles, museums etc. 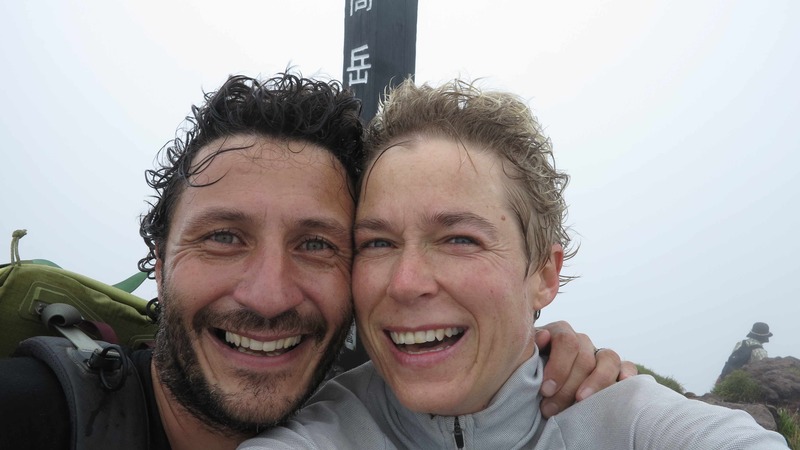 There are even TV shows of people running 300 km and collecting stampos along the way. Stampo stampo!!! So….we bought our own stampo book and started our collection! This stampo has its own small house. You have to open the small door and there it is, the stampo! 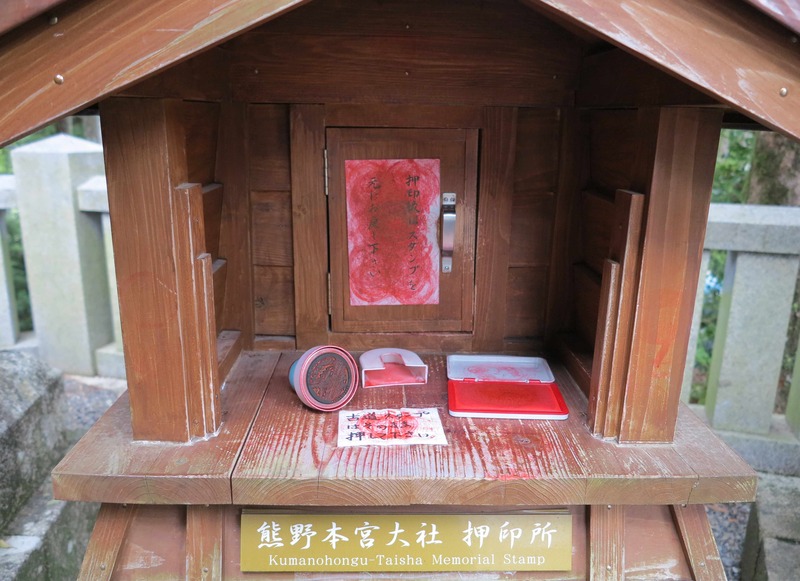 After collecting the stampo of the Kumano Hongu Taisha Shrine, we went on to do a small part of the Kumano Kodo pilgrimage routes. Along the way we could buy the local oranges as refreshments. And we enjoyed the views, here over tea fields high in the hills. 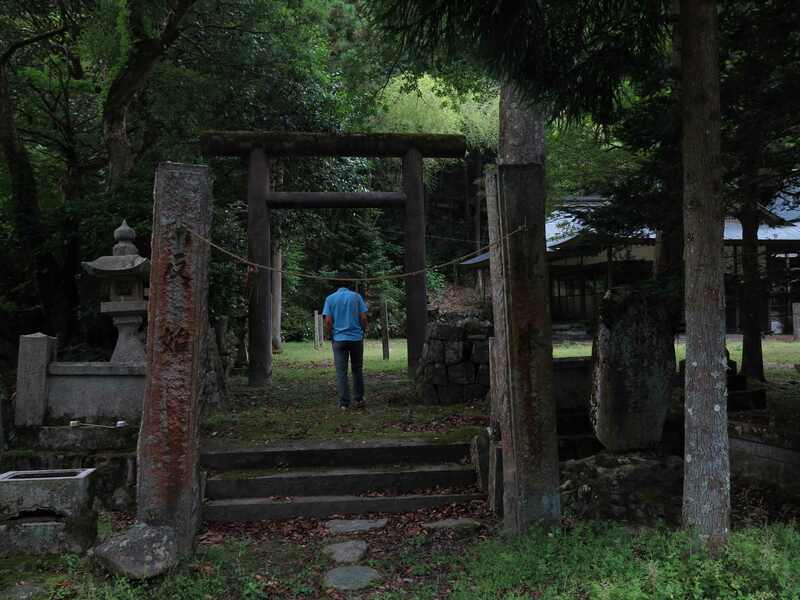 Finally, after 7 km of walking we arrived to this small shrine. This was the end of our pilgrimage! 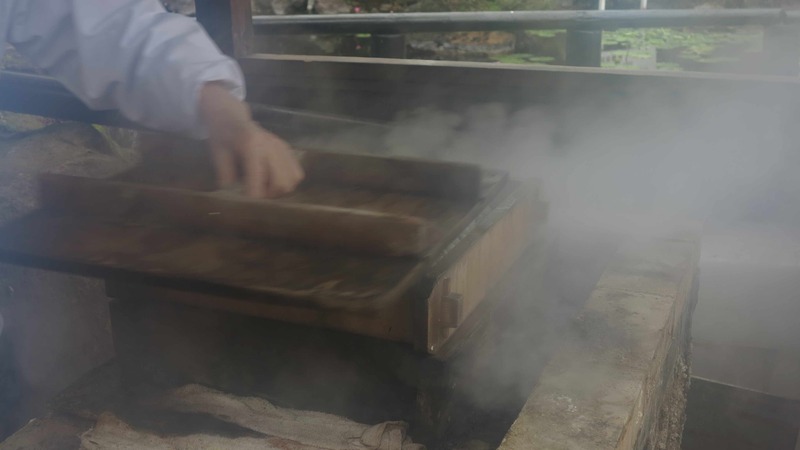 Following our successful pilgrimage, we soaked our bodies in the only UNESCO world heritage hot spring onsen in the world, the small and very old Yunomine onsen. 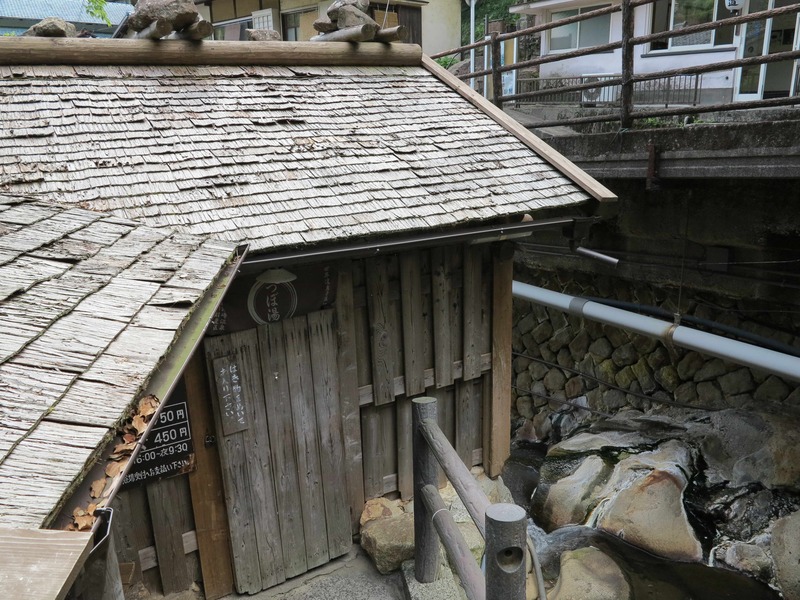 It is built into the river bed and covered by a wooden shed. You can see it in the photo below, at the far end of the river. 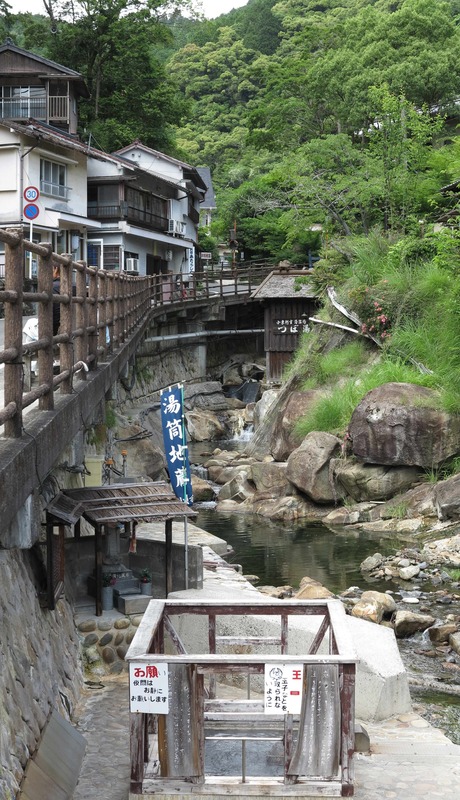 Here is the entrance to the Yunomine onsen. And here is the husband suffering inside the eeeeeextremely hot water! We had to mix with lot of cold water…. And then finally the wife was able to enter in the legendary healing waters of the Yunomine onsen! 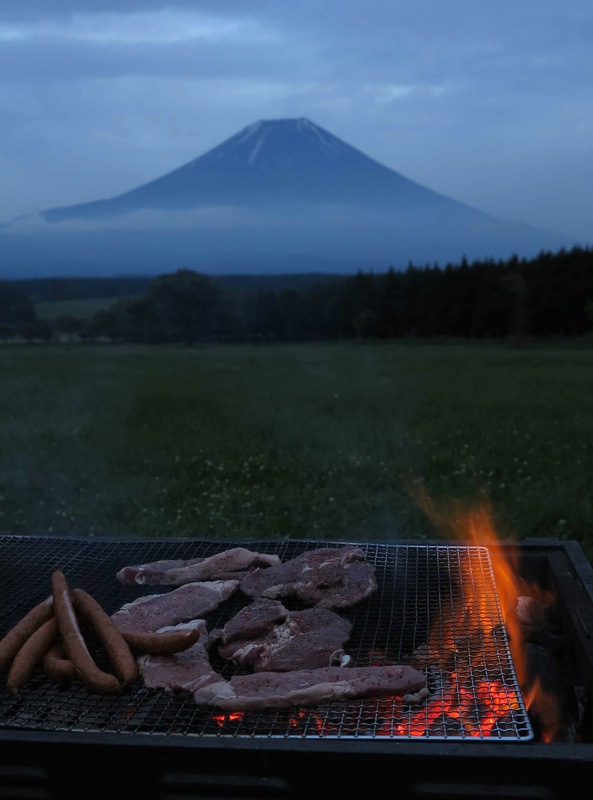 Life as a Japanese pilgrim is not too bad. 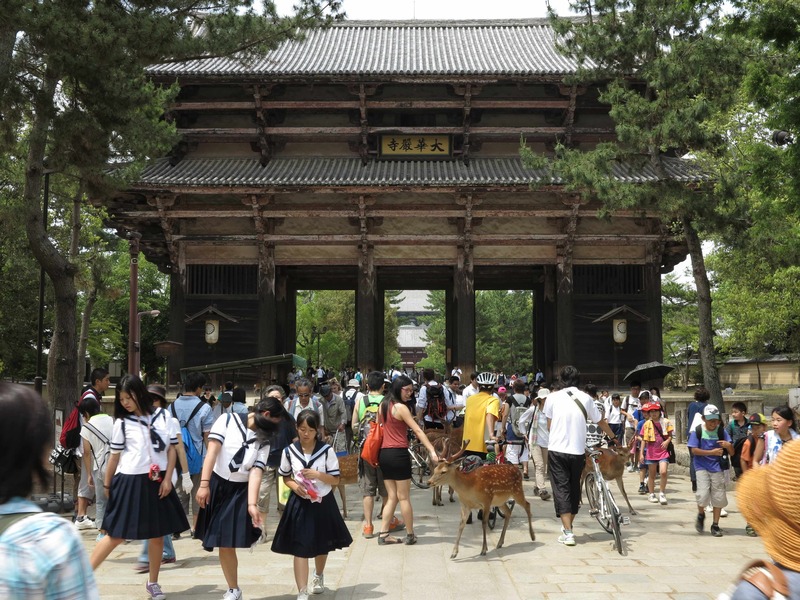 Nara is the old capital of Japan. 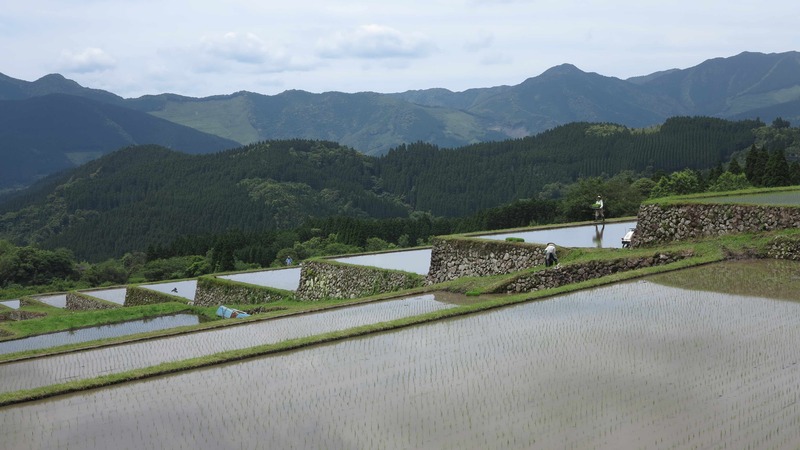 It lies just south of Kyoto, which became the new capital in the year 794. 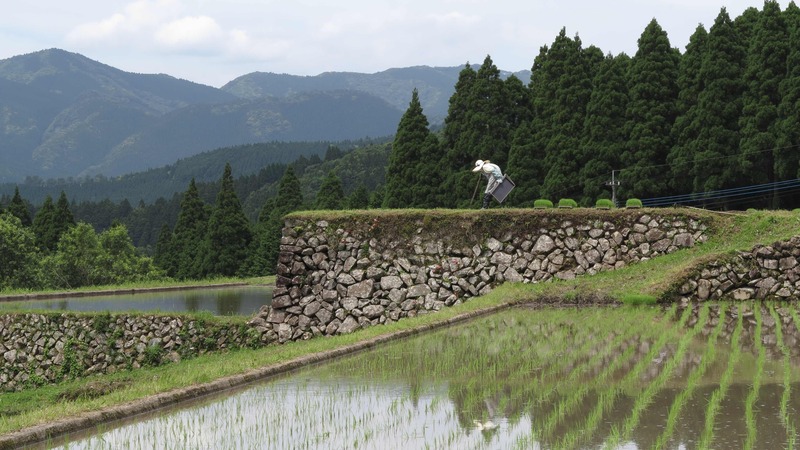 It is an area packed with culture and some of the greatest national treasures of Japan. Horyu-ji. 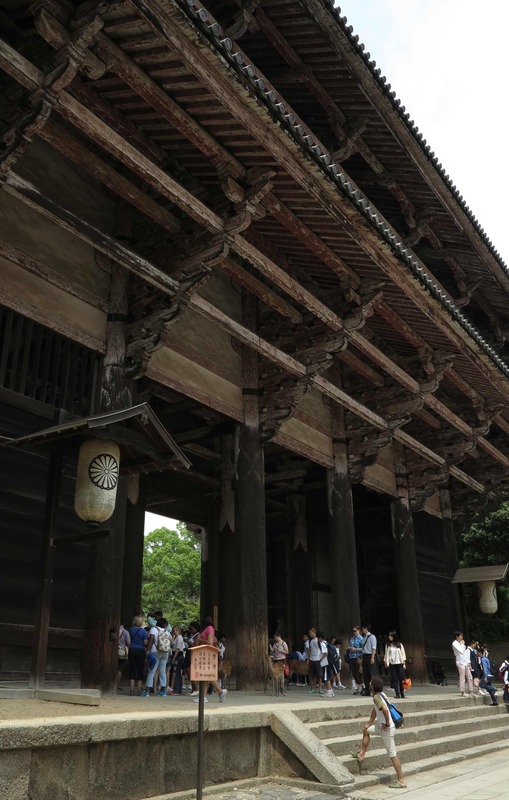 The worlds oldest wooden building stands in Nara. 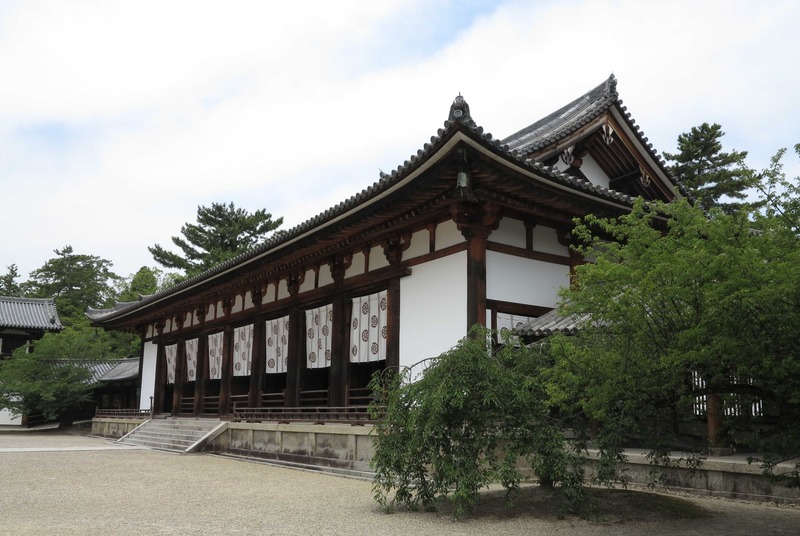 It is part of the Horyu-ji temple complex and was built in the late seventh century, when Buddhism was still young in Japan. 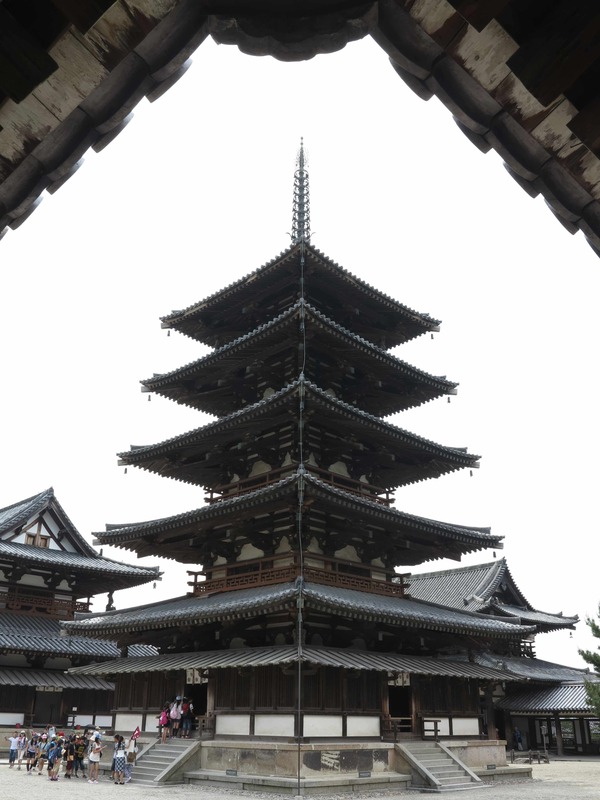 Japans oldest 5-storey pagoda also stands in Horyu-ji. 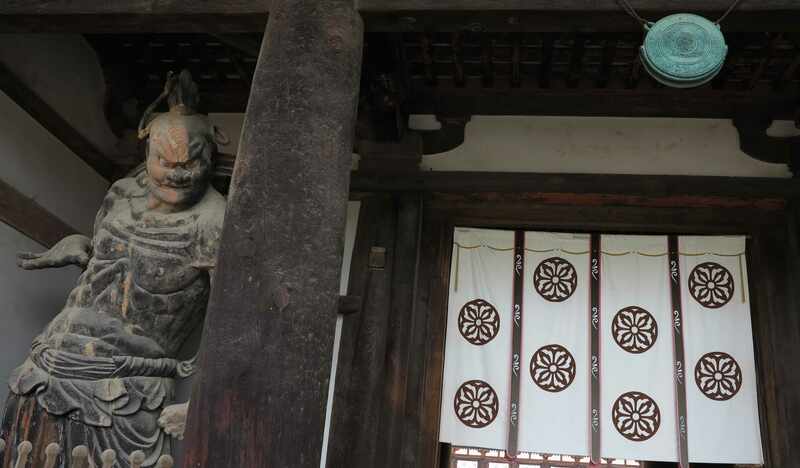 Here one of the heavenly guardians at the entrance to the Horyu-ji site. Todai-ji. 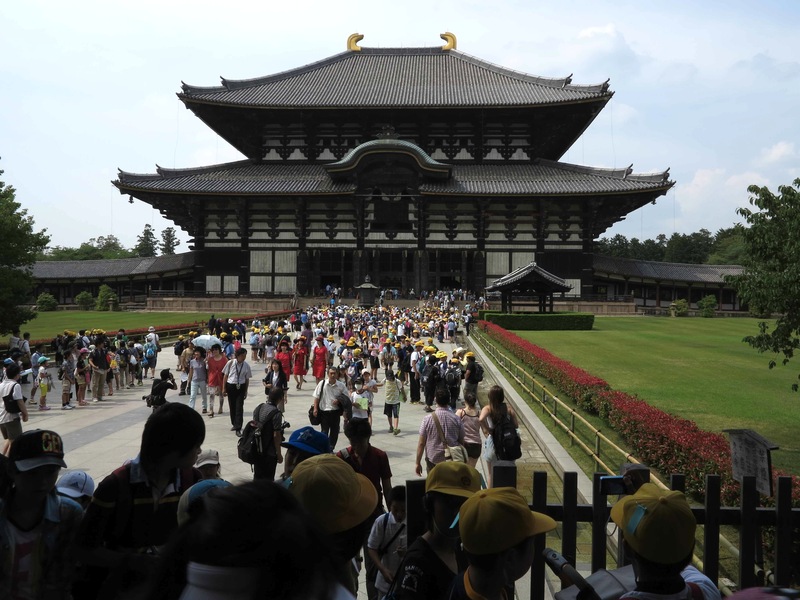 Secondly, we visited the famous Todai-ji, the symbol of Nara. Entry is through the large Nandai-mon gate. Already here, traffic is heavy with all kinds of creatures! The Nandai-mon gate really is impressive and very very large. The flow of school classes and students going through the gate and up to the main entrance to the Todai-ji temple is constant. How there can be so many students! 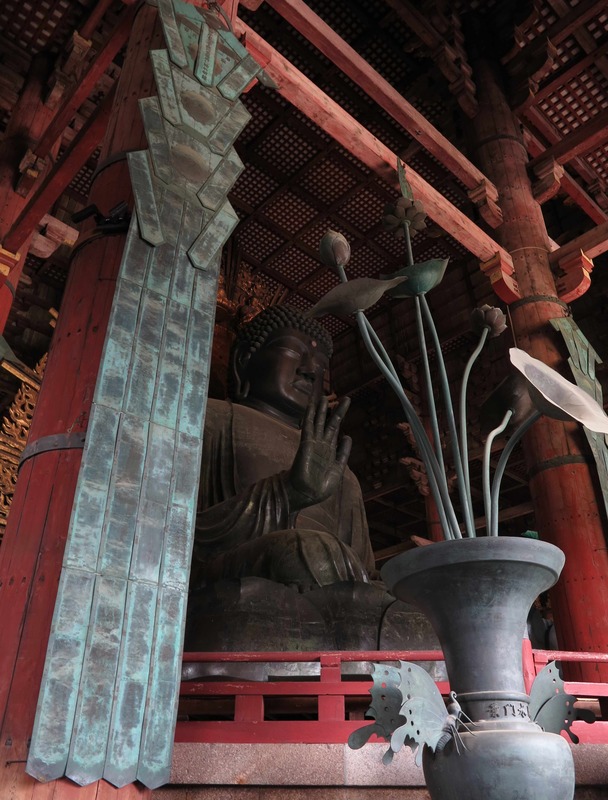 Finally inside, you get the first view of the immense main temple of Todai-ji. 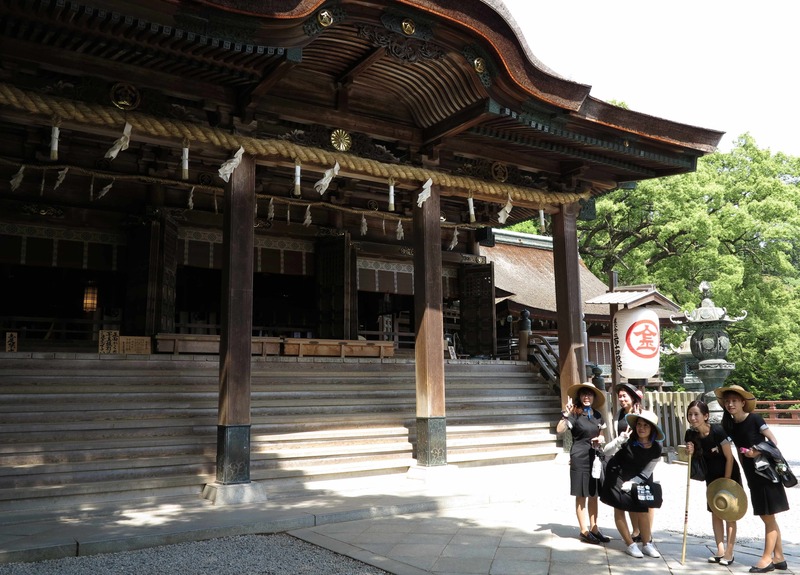 The temple is still the largest wooden building in the world, even if the present structure (rebuilt in 1745) is only 2/3 the size of the original temple which was founded here in 745. 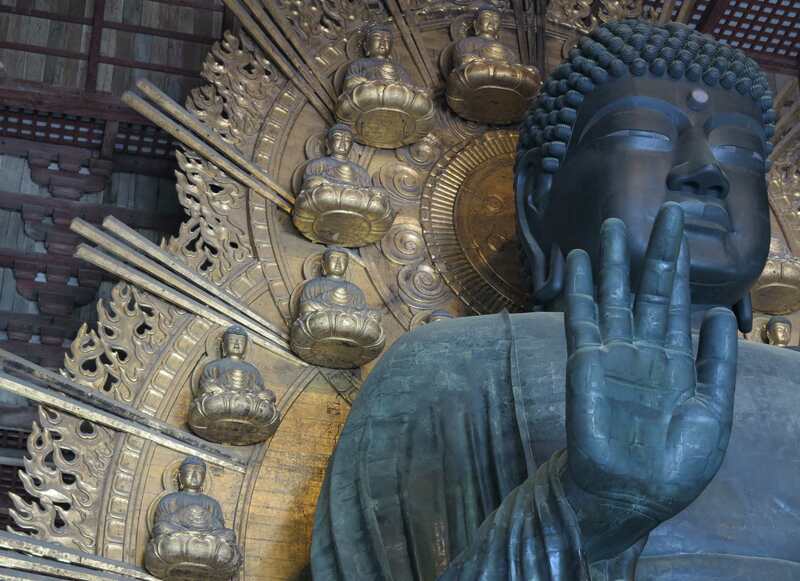 Inside the great temple sits a 15 meter tall bronze Buddha statue. 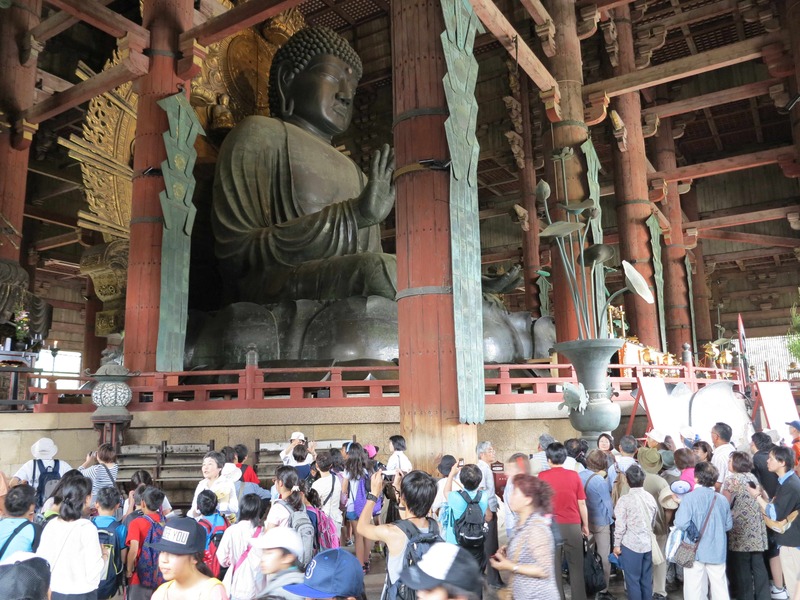 Both the large internal space of the great temple and the big Buddha statue is impressive. And also the crowd of visitors is impressive! At the back of the temple we found a looooong queue. 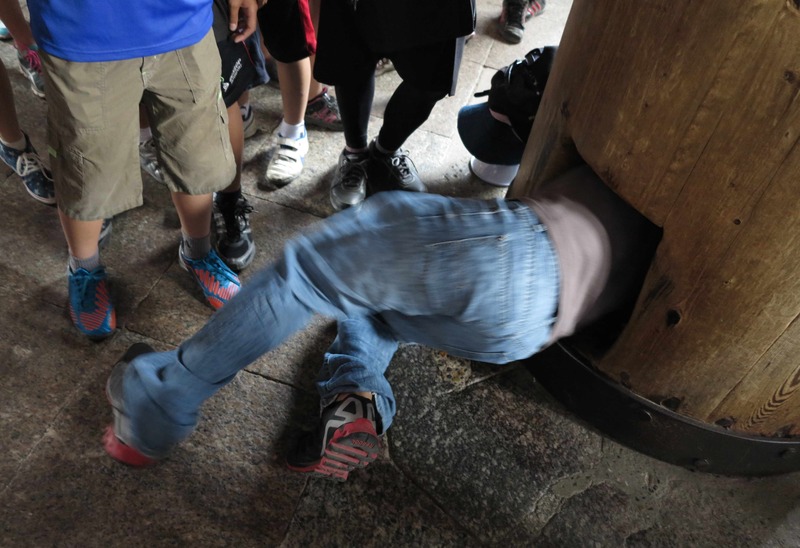 When we followed it to the end it turned out that there was a hole in one of the big wooden pillars and all these people were waiting to squeeze themselves through the hole! We loved it! 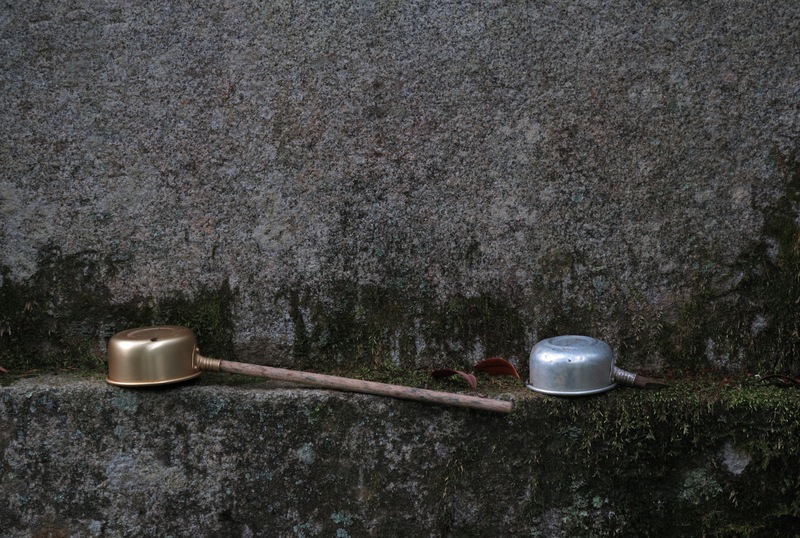 It reminded us of Central Asia and some of the ancient rituals you can find there. We did not go through the hole though, the queue was too long…. Instead we went to the counter of the “stampos”. There we found this old monk making a very lovely stampo. 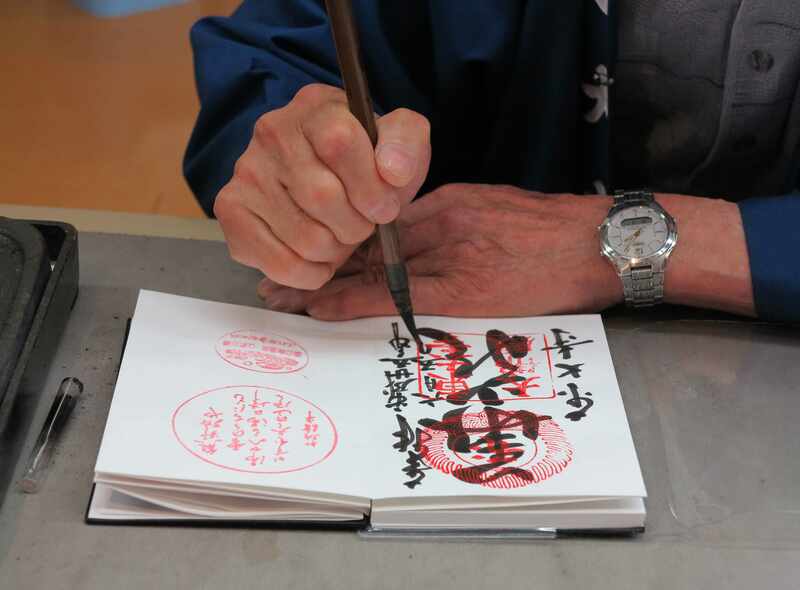 Here he is making the stampo in our book! And then all the young students had to go up and “massage” the wooden “humps” on the guy. We did the same of course!!! 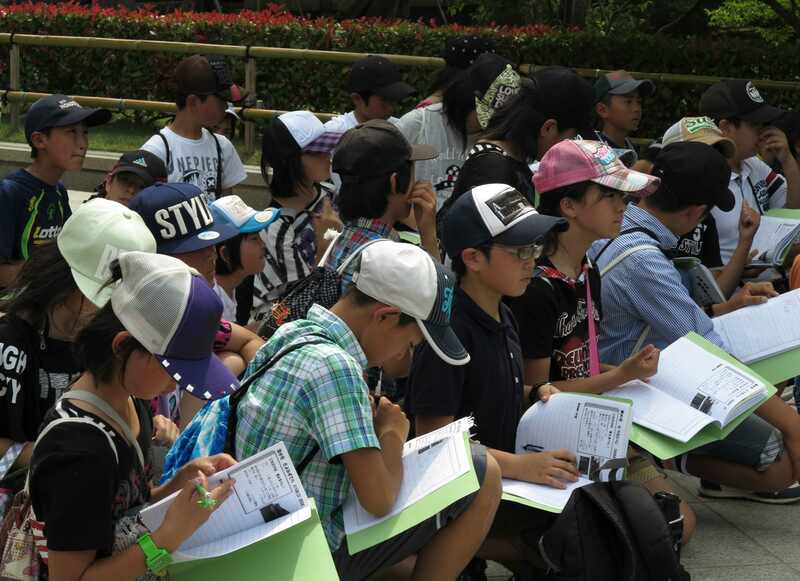 Here some sketching is done….the students were very busy. 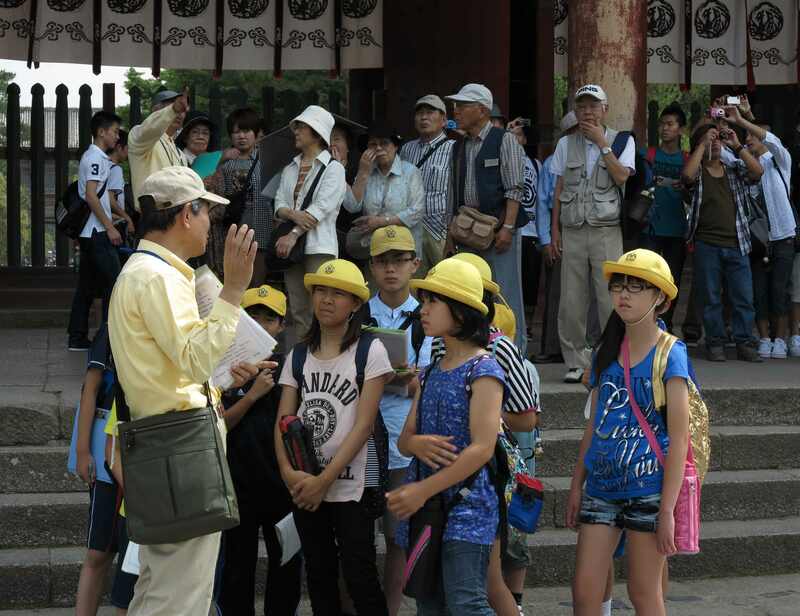 Young students listening to the professor….and in the background a tour group of older people listening to the guide. The learning never stops and the discipline of the group remains the same! But who wouldn’t like to listen if the teacher looked like this? 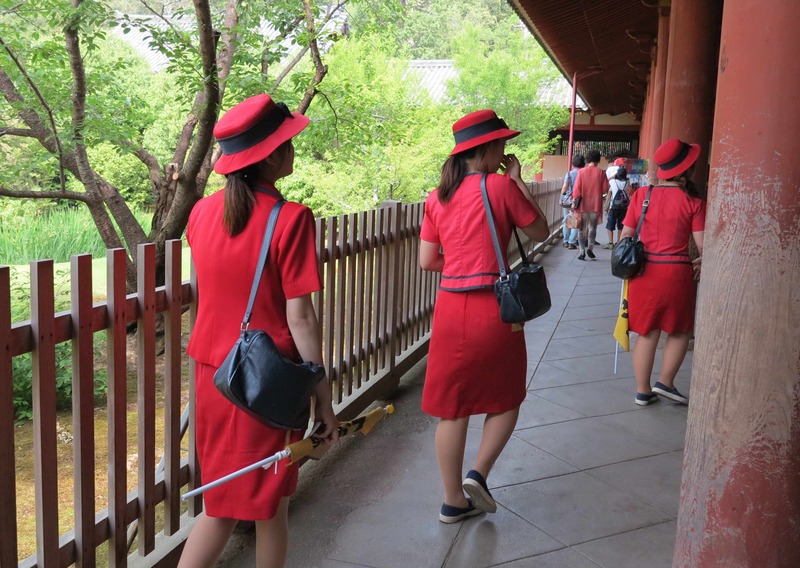 Female tour guides in red. 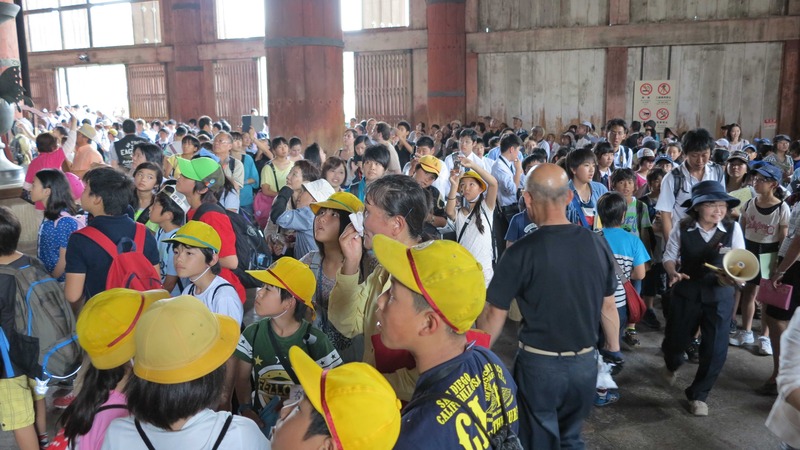 All in all, we enjoyed almost as much to watch people as we enjoyed the great temple of Todai-ji! No! You can’t have any ice cream. 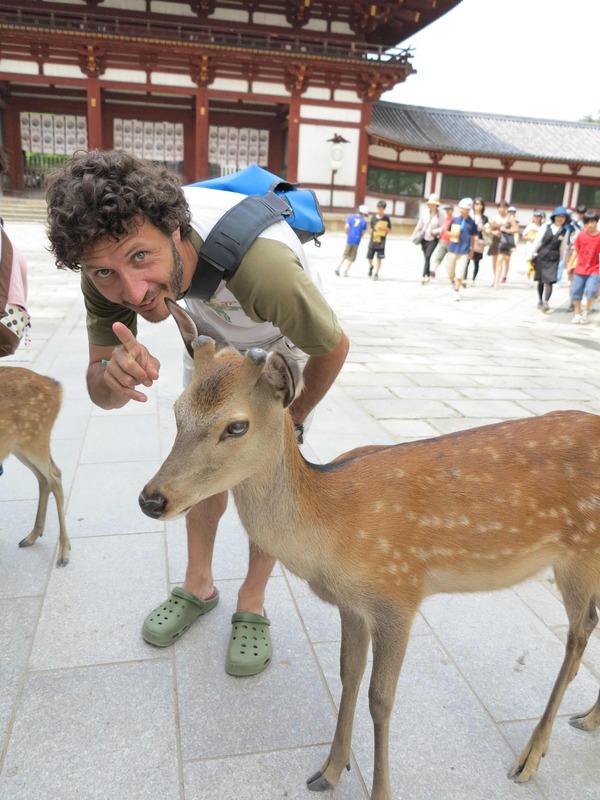 After Nara we needed to get away from the crowds. Shikoku was the right place to go. We took a couple of long bridges from the main island of Honshu to Shikoku, the fourth largest island of Japan. 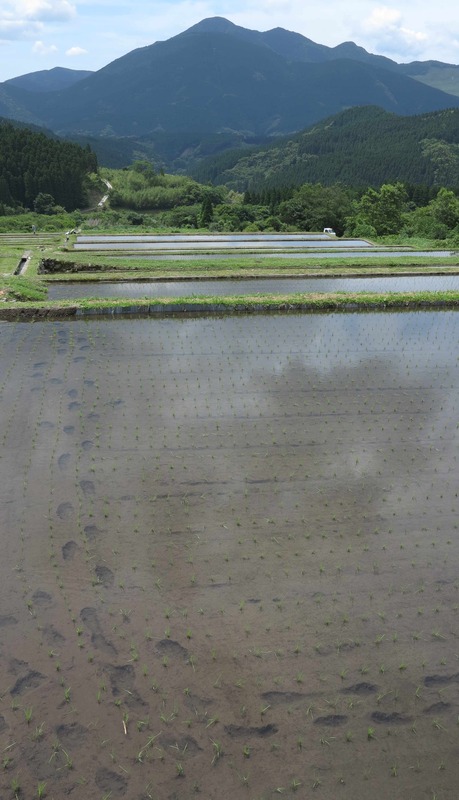 The northern part of the island was onion land and it was harvest time. 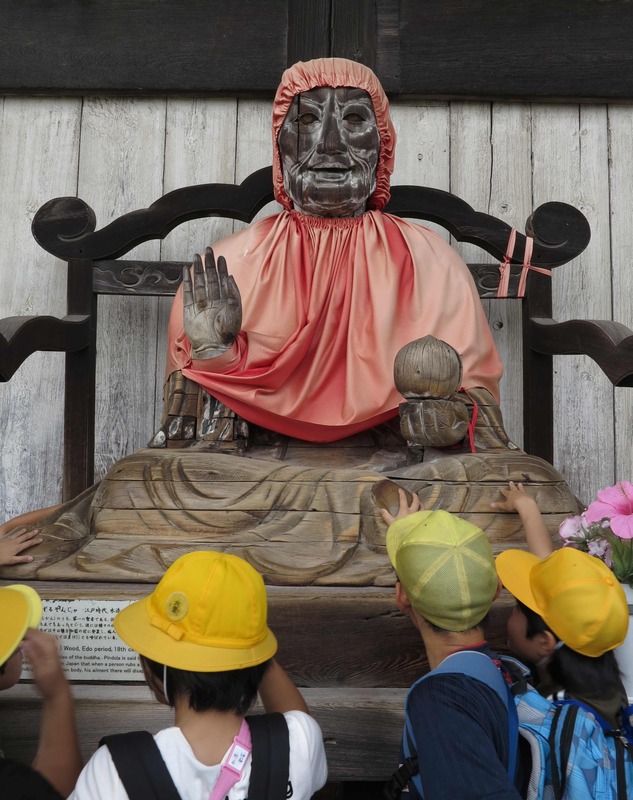 We went to visit the Kompira-san, a major pilgrimage destination on Shikoku. 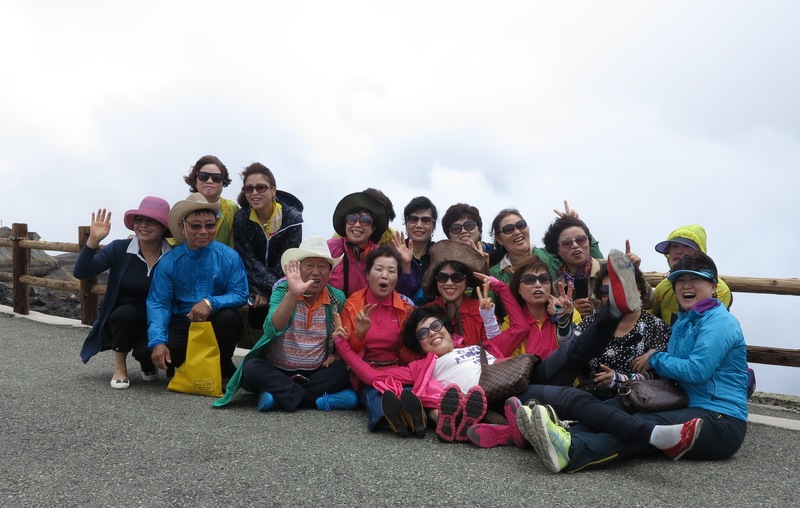 Here is a group of chic female pilgrims in black. They climbed 785 steps to get this far so they have a good reason for the photo shoot. Hmmmm……but this is not the end of the climb! 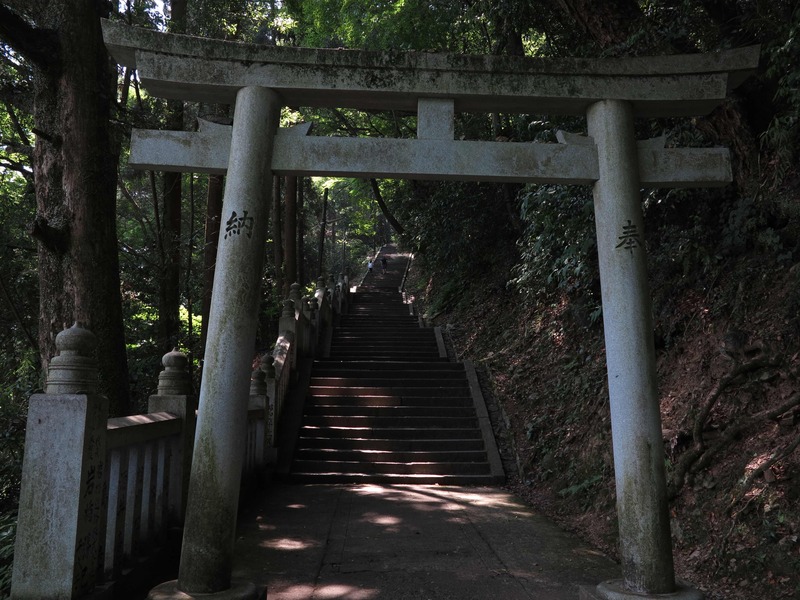 In total there are 1368 steps up to the uppermost inner shrine. Quite a good climb. 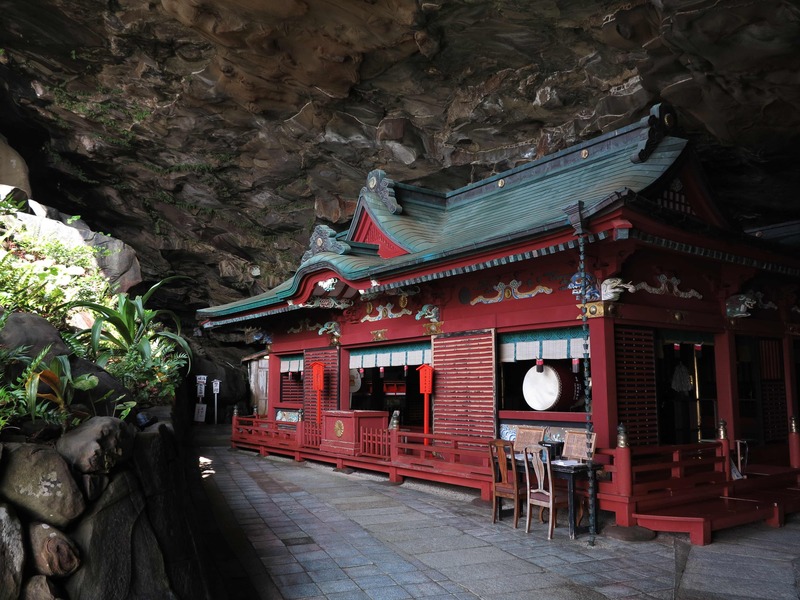 Kompira-san is the main japanese shrine dedicated to sailors and other seafarers. 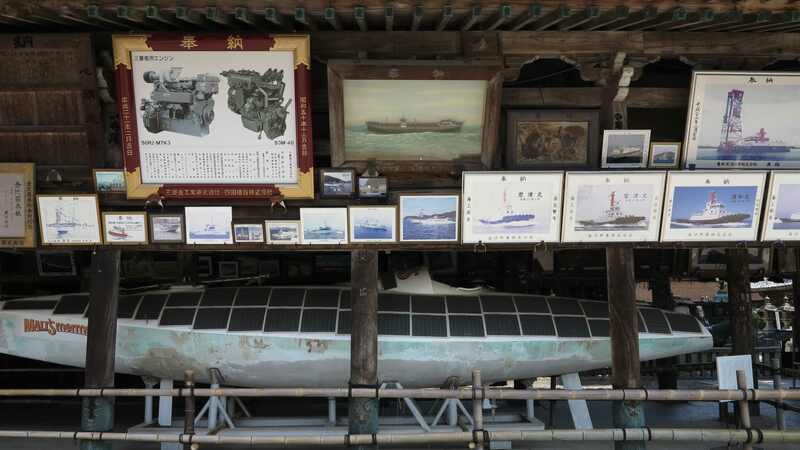 A side building displays all the offerings made to the shrine from people or companies hoping for good luck at sea. 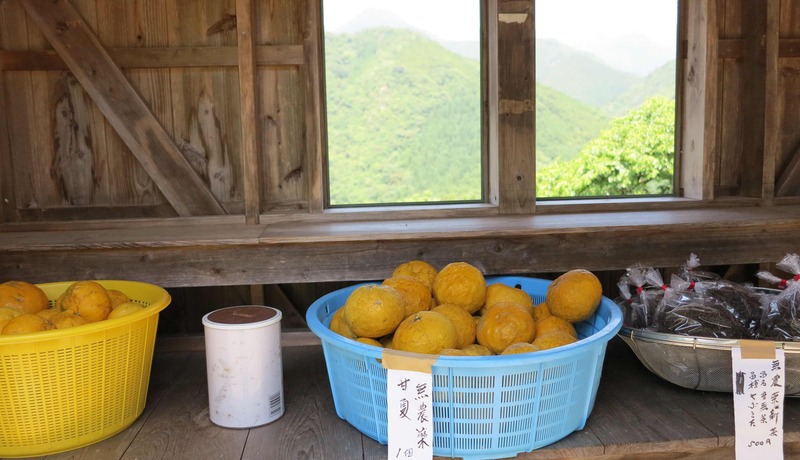 We found a more comfortable mode of transport when we stumbled across a secluded ryokan (hotel) and onsen (hot spring) in the narrow and beautiful Iya Valley. 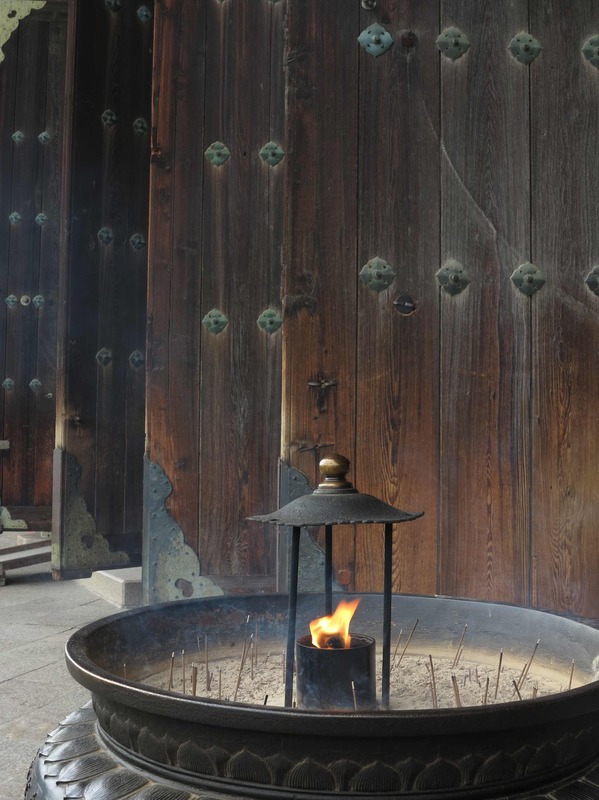 The ryokan was a bit too expensive for our pockets but we decided to go for the open air onsen. It was incredibly nice! 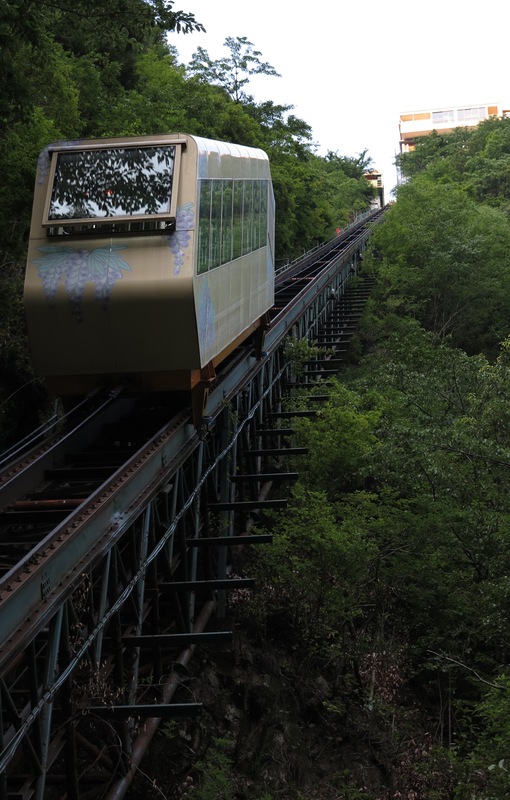 First we had to descend about 170 m from the ryokan down to the river where the hot spring flows. It took about 5 minutes with this nice old cable car. 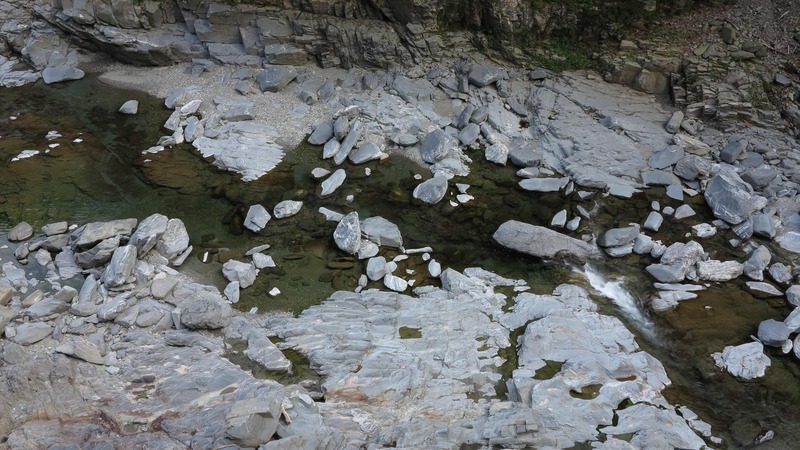 This is the Iya Valley from above! The hot spring is located down there by the river. The hot spring water was milky white with sulfur and was naturally carbonated so your skin got covered in tiny bubbles and the water felt like silk on your body. This was the view to the river from the bath. 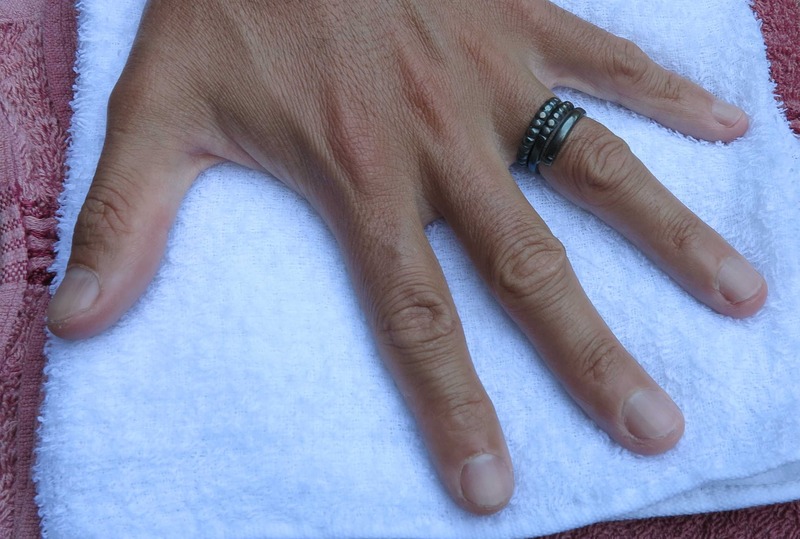 Our rings turned completely black! A good sign that there was indeed something in the water. 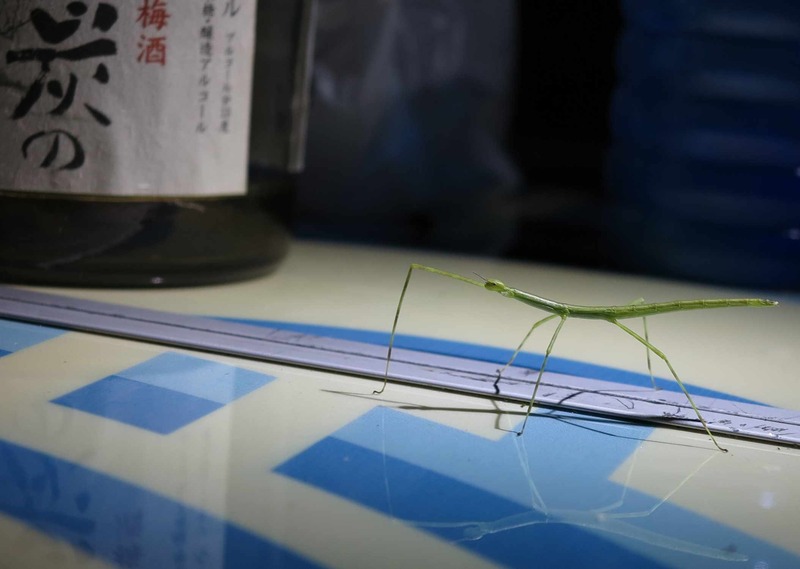 At night we drank too much umeshu and had a visit by this small guy who stayed with us for a while. It was our one year anniversary for getting on the road – one year ago we picked up Frida in Montreal just before closing time and went to sleep in a park. A lot of memories!!! 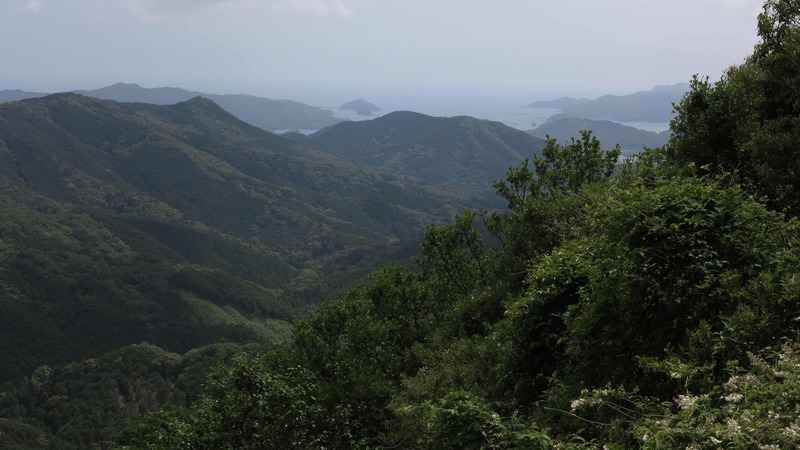 We spent a couple of more days driving through the Shikoku Island. 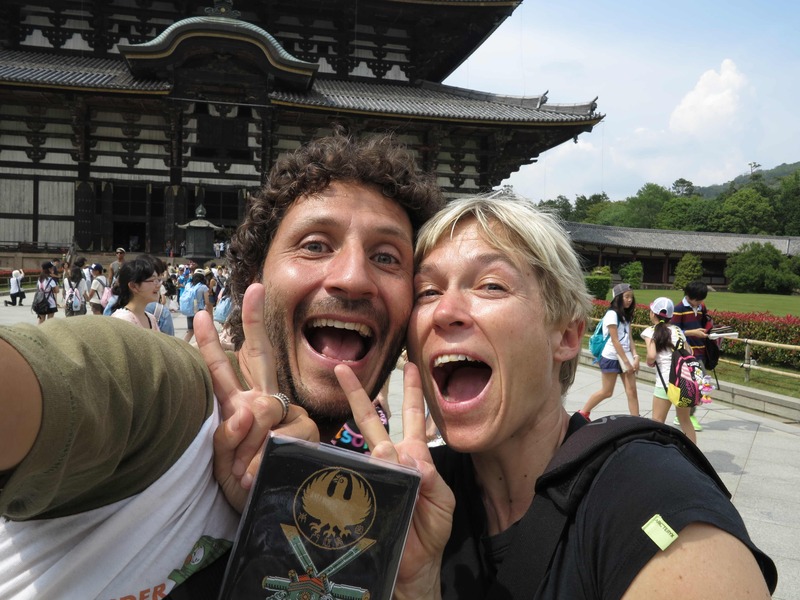 There are not a lot of spectacular or famous tourist sights, but as always with Japan, we enjoy just as much to discover “our own” small places and to enjoy the villages, the valleys, the forests, the small shrines and whatever turns up on our way. From Shikoku we took a ferry to Beppu on Kyushu, the southernmost of the main islands of Japan. 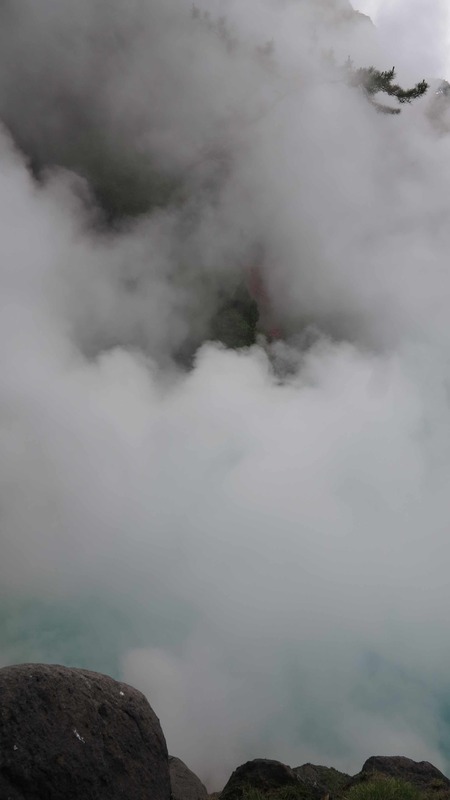 Here the land is steaming and fuming like nowhere else and it is the most volcanically active region of Japan. 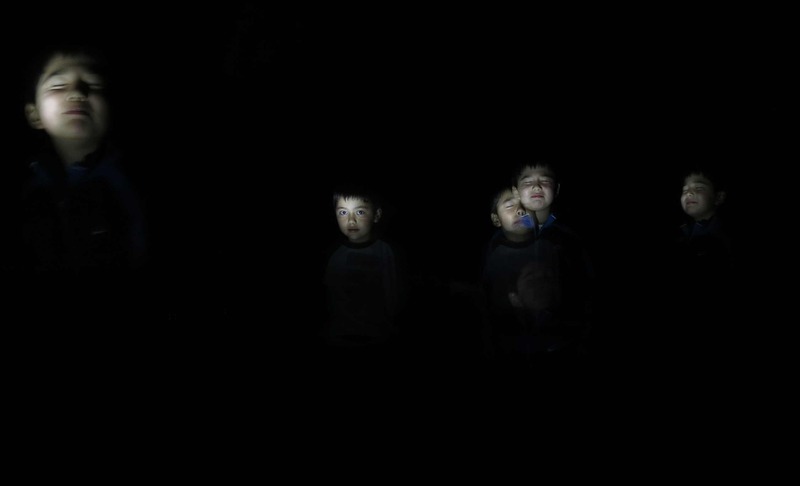 In Beppu you can experience Hell while still alive! 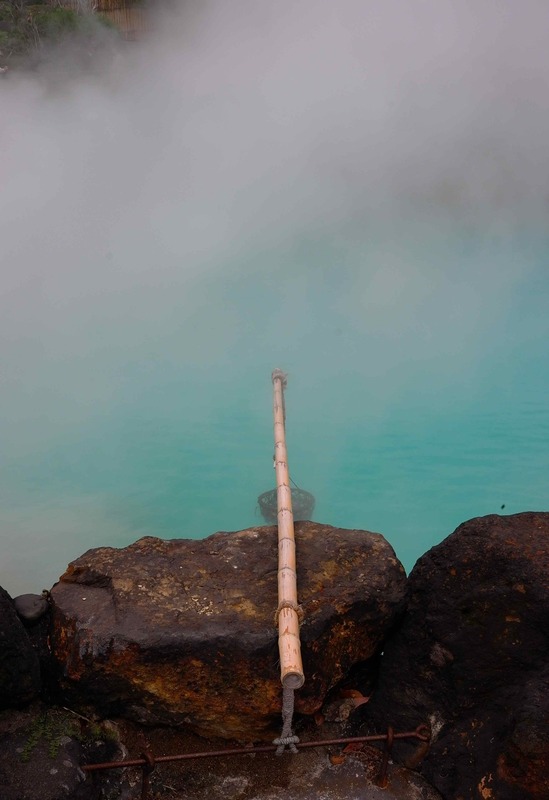 Jigoku (literally “Hell”) are mud pools, geysers and super-hot hot springs which would scold you to death if you jumped in. 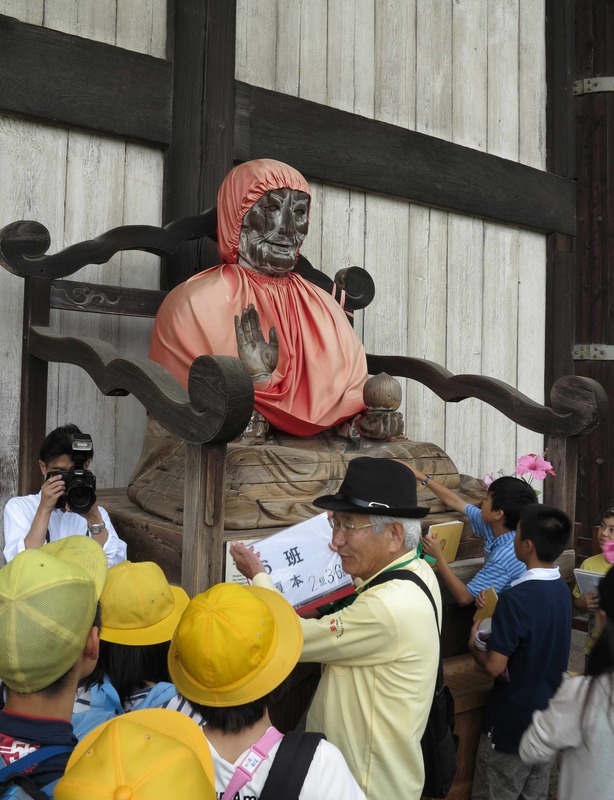 In fact, in the old days, it did occasionally happen that some unfortunate Christian or others got executed by being thrown into a Jigoku. 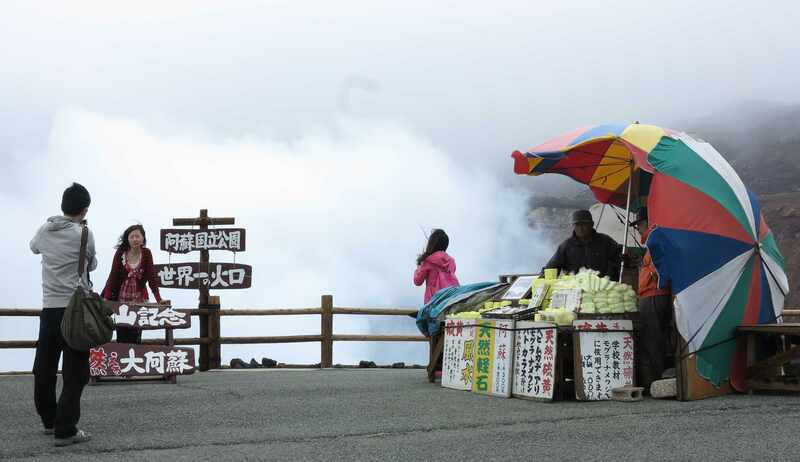 …or as here boiling eggs which are sold to the tourists. From Beppu we drove to Aso. 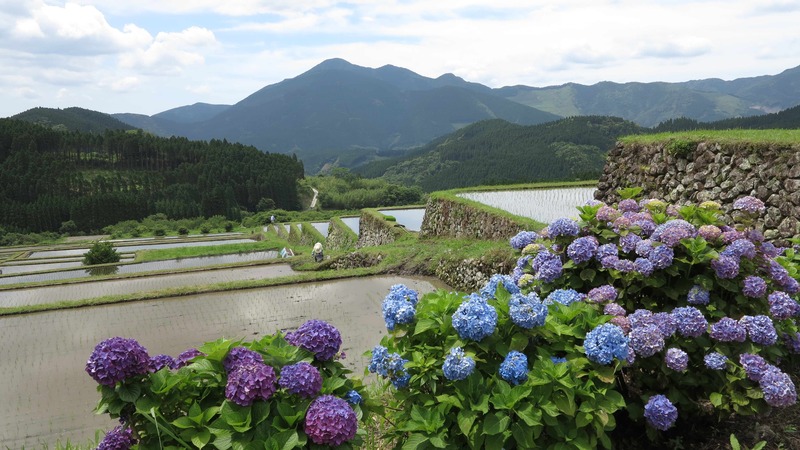 The city of Aso is located inside a huge caldera formed by a giant collapse of an ancient volcano. 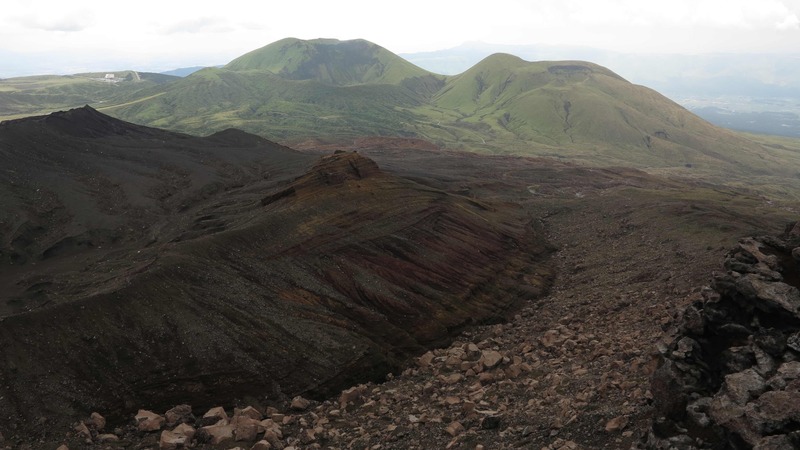 The volcano is still active through a crater in the central part, but the main collapse of the ancient Aso volcano happened some 10,000 years ago. Here a Japanese cow is peacefully grazing on the slopes of the central volcanic complex with a view to the flat caldera floor below. 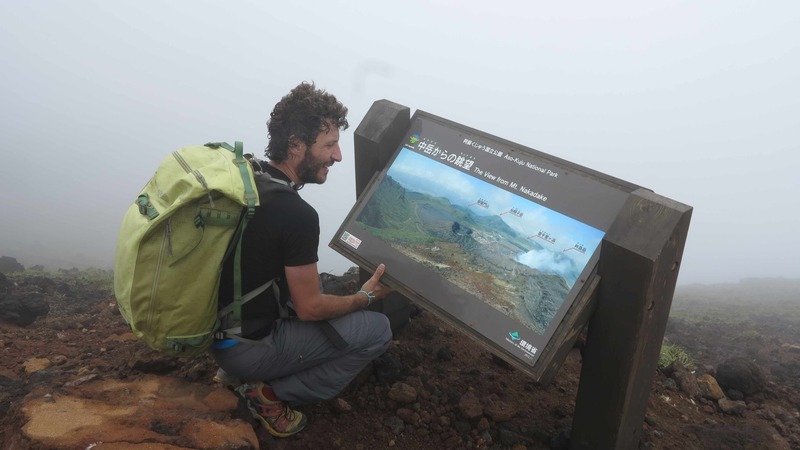 Now is the rainy season but we were determined to climb the two volcanic peaks of Taka-dake and Naka-dake inside the Aso caldera. Here on the top of Taka-date, slightly wet. 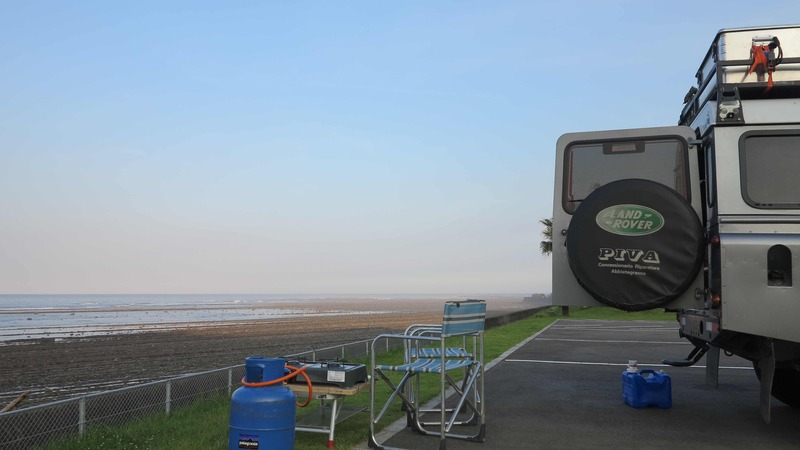 Marco is studying the view….. Despite the weather, we were not the only ones on the mountain! Souvenirs and photos at the rim of the active crater. 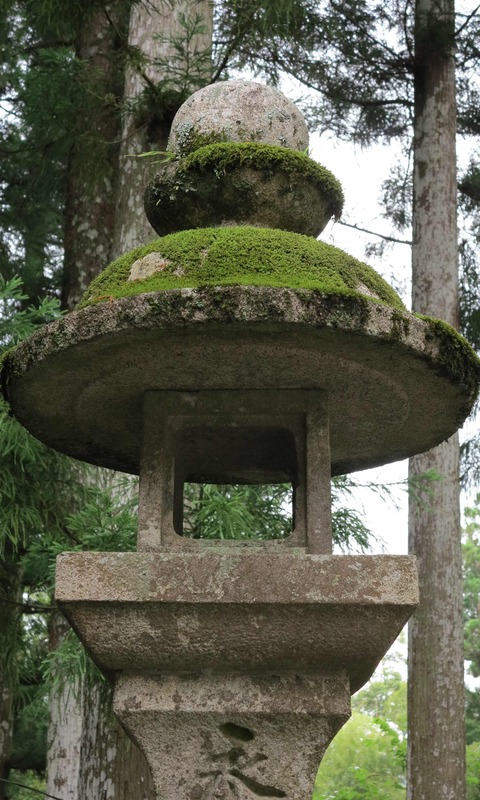 A small Jizo is keeping watch. 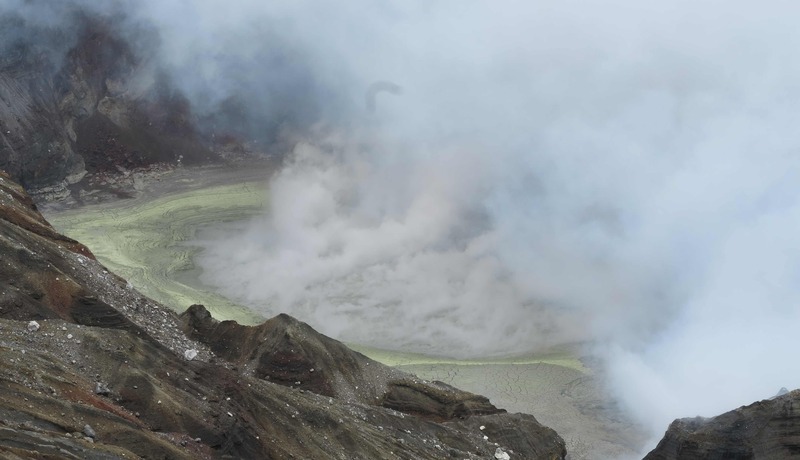 And here is the sulfur-steaming active crater. The next day the weather was much better and so we climbed the Taka-date and Naka-date again from a different route. And we enjoyed the views. From Aso we drove down to the east coast of Kyushu. 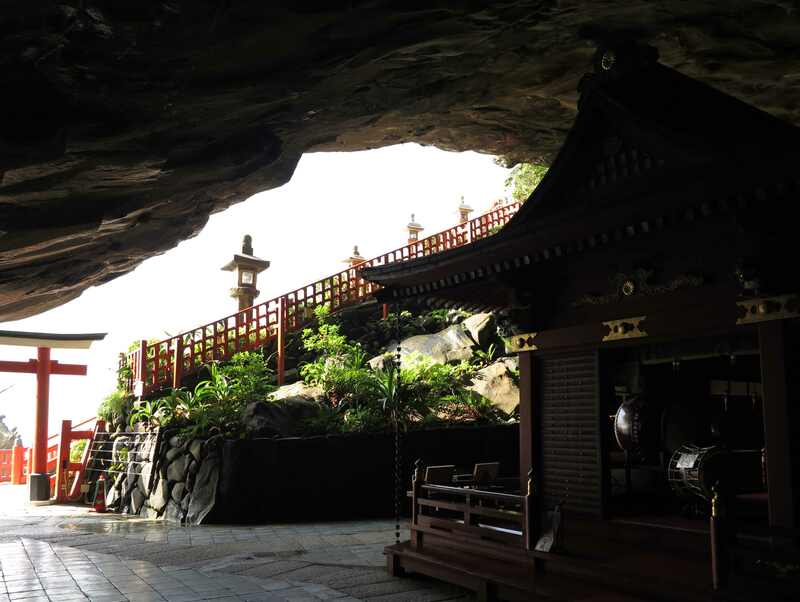 We wanted to visit the Udo-Jingo shrine, a cave-shrine on the coast of the Pacific Ocean. We arrived early morning as the first visitors, surprising the nuns and monks in their morning cleaning activities. 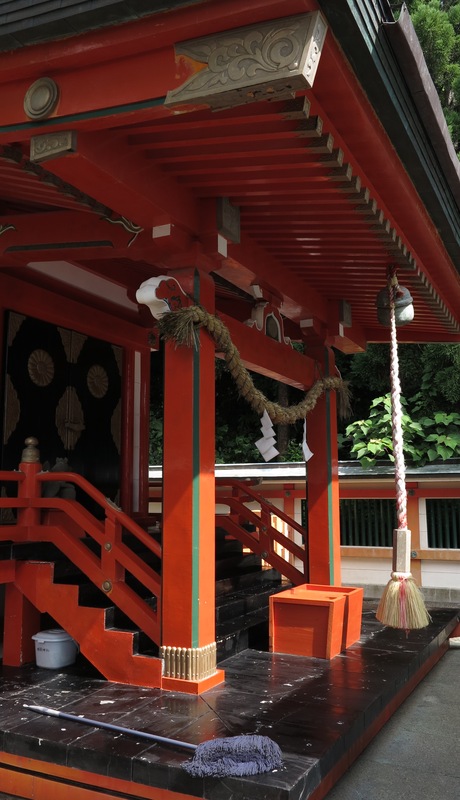 The entrance to the shrine is through the red tori-gate. 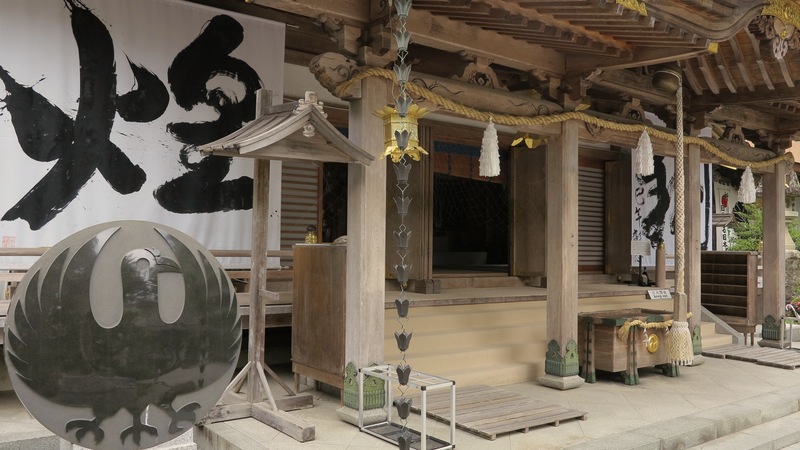 From the hot humidity of the outside world we entered into the cool, dim and water-dripping world of the Udo-Jingo shrine. It was fantastic!!! 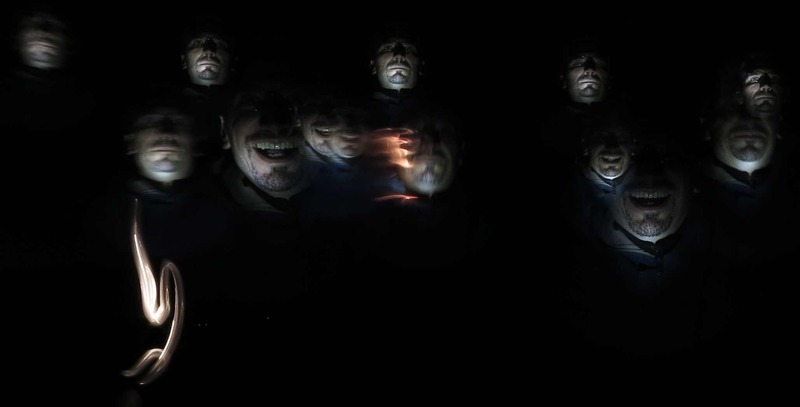 Strange creatures are lurking inside. 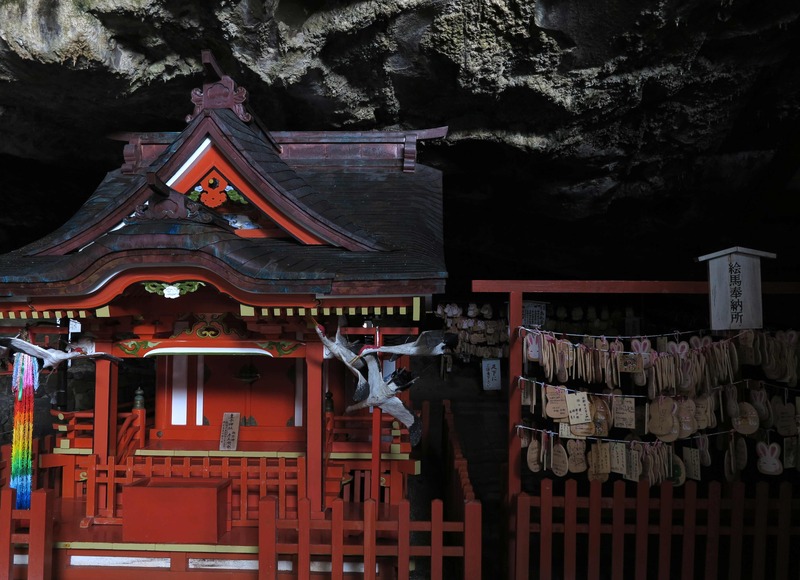 The cave is fantastically atmospheric and there are several small shrines and corners to investigate. We loved it! A view towards the sharp sunlight outside the cave. We managed to get there before the actual opening time and so we were completely alone. Recommended! 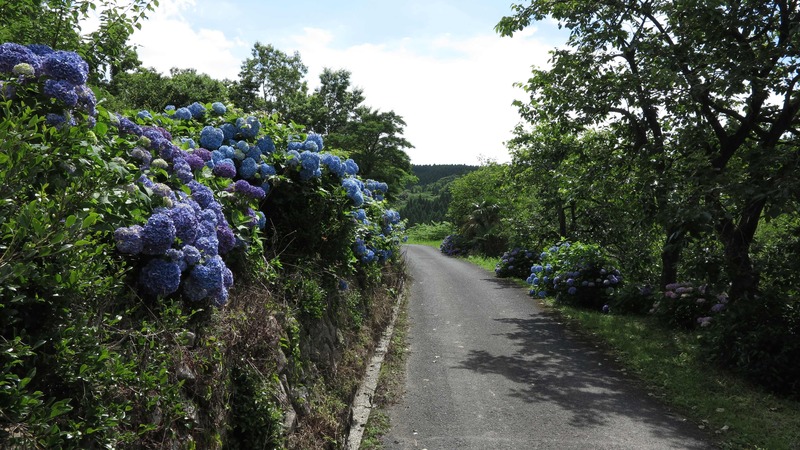 From the coast we went inland and found the roads to be lined by blooming hortensias! 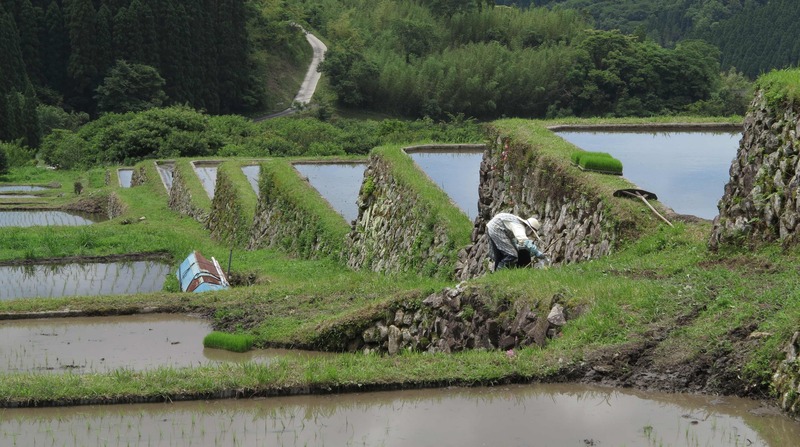 We stumbled over these terraced rice fields. 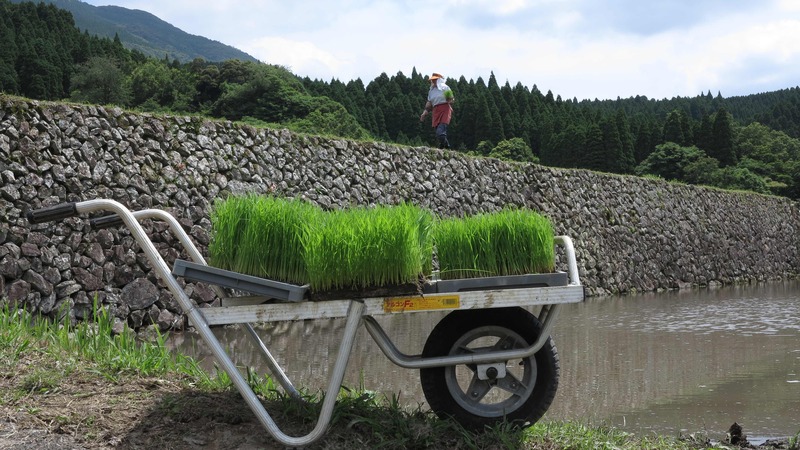 The farmers were busy planting new small rice plants in the fields. 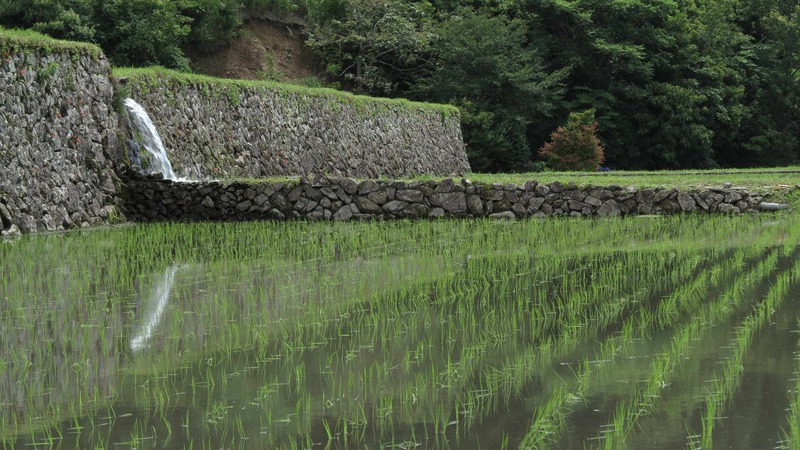 Water was running through small streams down the hill side and flooding the rice fields. 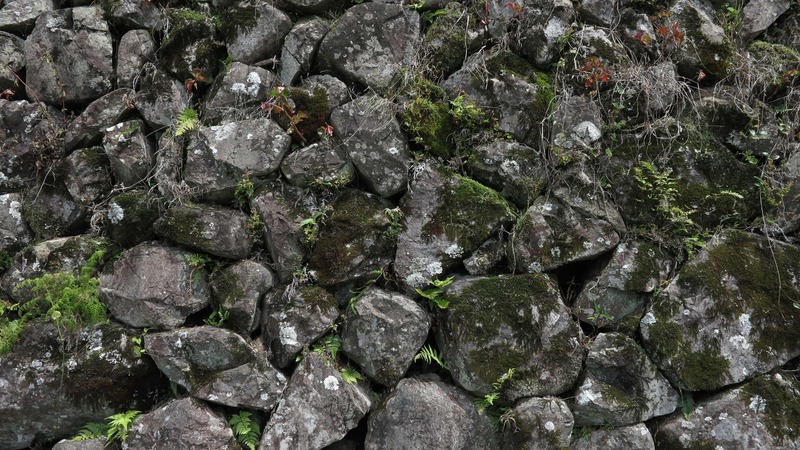 All the fields were lined by old, beautiful stone walls. View over the fields and the valley. 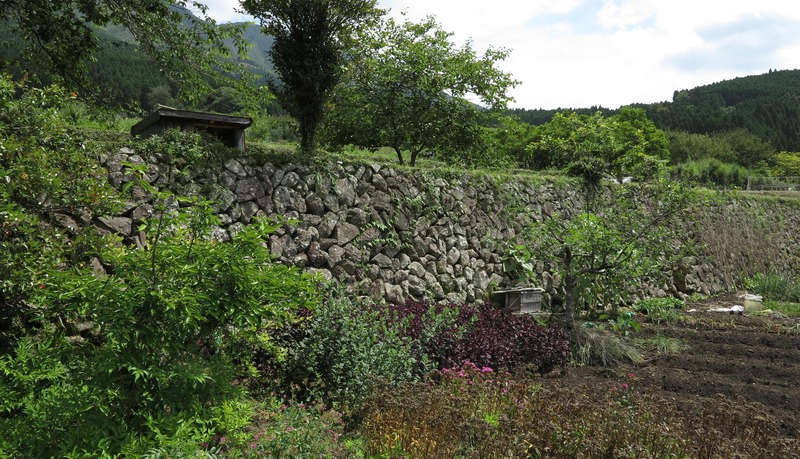 There were also vegetable and fruit gardens further down on the hill. 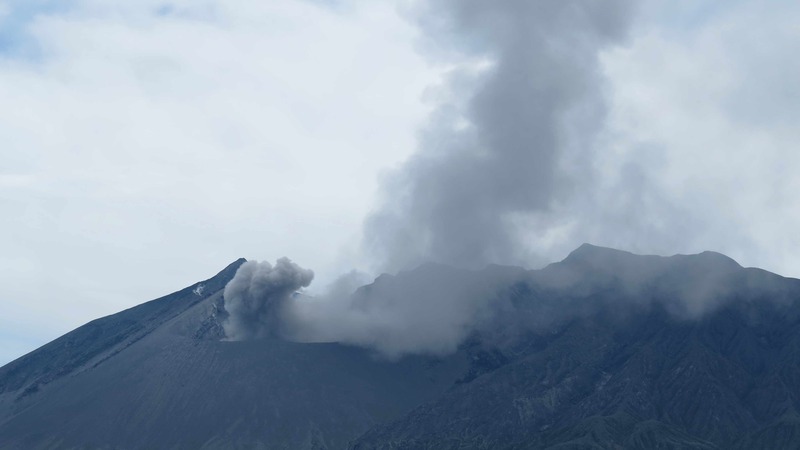 Dropping down to the coast again, we got a great view to the huffing and puffing Sakurajima volcano. Heading for Nagasaki, we stopped by the hot spring town of Unzen and had a good run with a very good bath afterwards. Probably it was the best onsen/hot spring bath we tried in Japan. We went to a public bath house, nothing fancy, 300 Yen per person. The sections for men and women were in two adjacent octangular wooden buildings and the water was milky and steaming hot. It was fantastic! 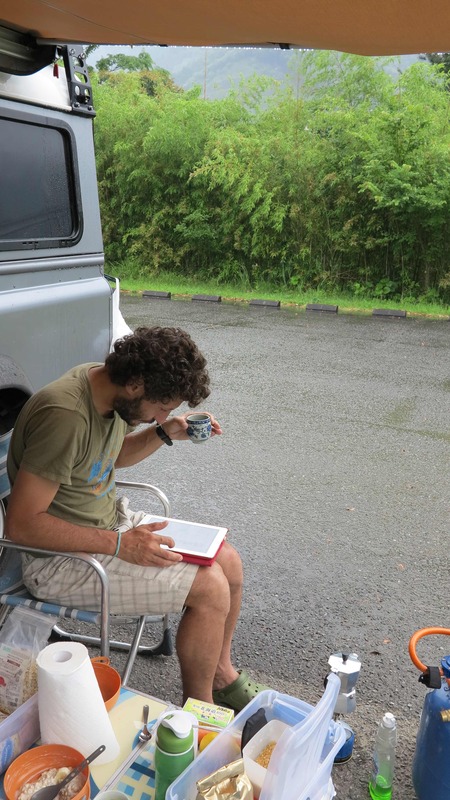 Here Marco is enjoying a good espresso on the morning after. We went to Nagasaki to visit the Atomic Bomb Museum. As with the museum in Hiroshima, it is shocking. Afterwards we went to sample the local cuisine. 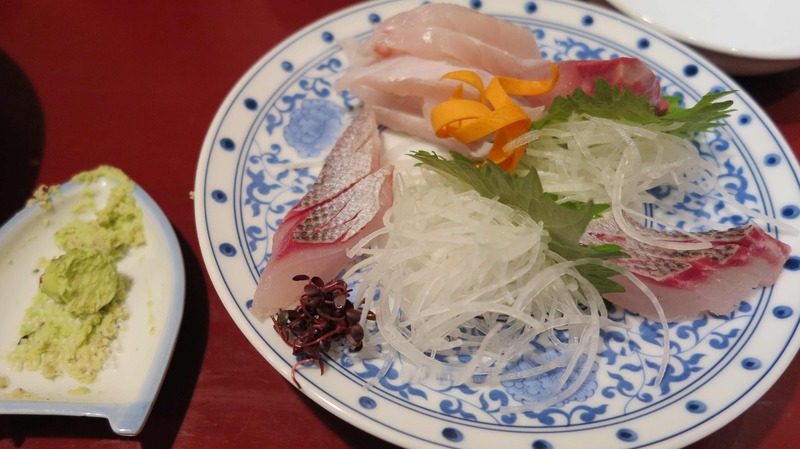 The sashimi was great but what made it really memorable was the fresh wasabi, grinded at the table. 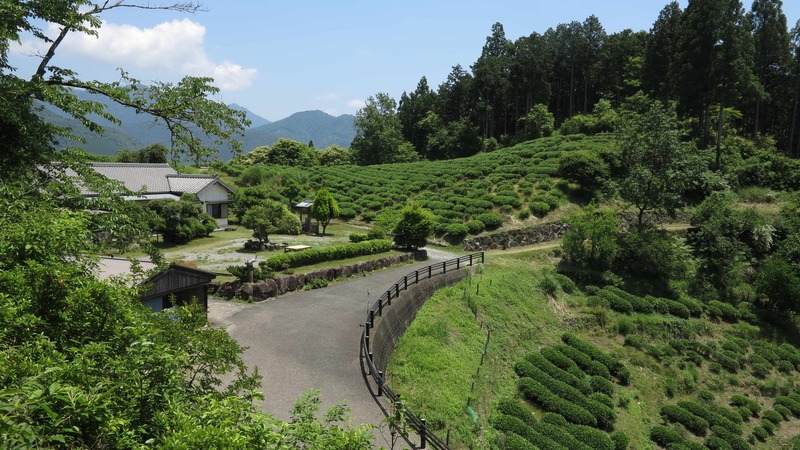 Now we are heading north to Kyoto, making a detour past Izumo to visit the Izumo shrine for a long and happy marriage! On the way we passed even more beautiful landscapes. 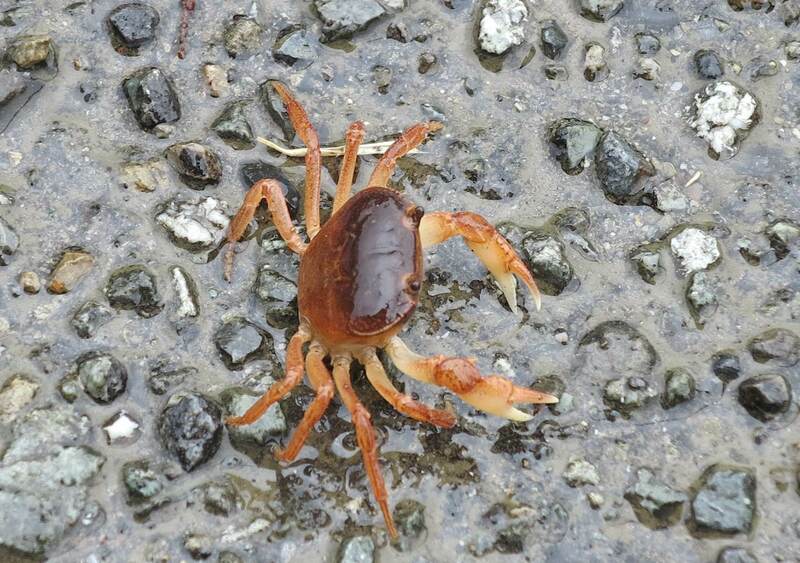 This is Kyushu!!! And after a couple of sunny days, the rainy season caught up with us again! Our visitor for breakfast seemed better suited for the wet environment than us! Taking breakfast under the awning. From Kyushu we drove north again to the main island of Honshu. 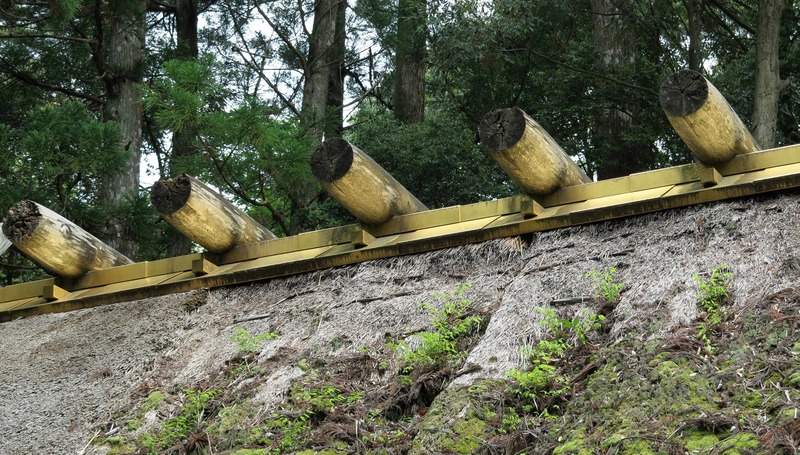 We were heading straight for Izumo and the important Izumo Tasiha shrine dedicated to love and happy marriage! 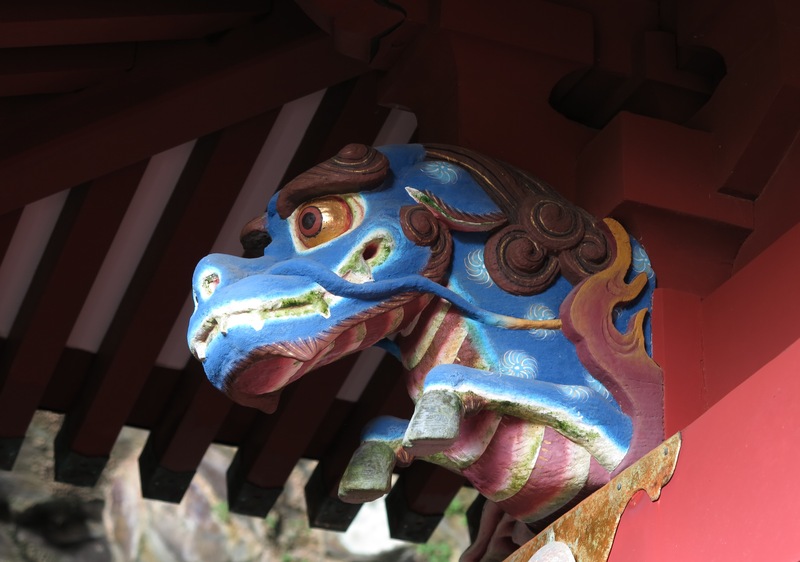 First we had breakfast in the small town of Tsuwano and paid a visit to the colourful Yasaka-jinja shrine. 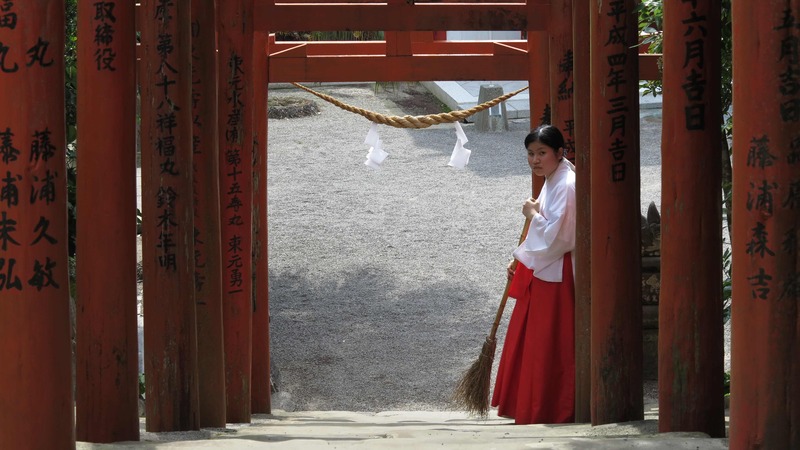 Izumo Taisha shrine, the shrine of love and happy marriage. 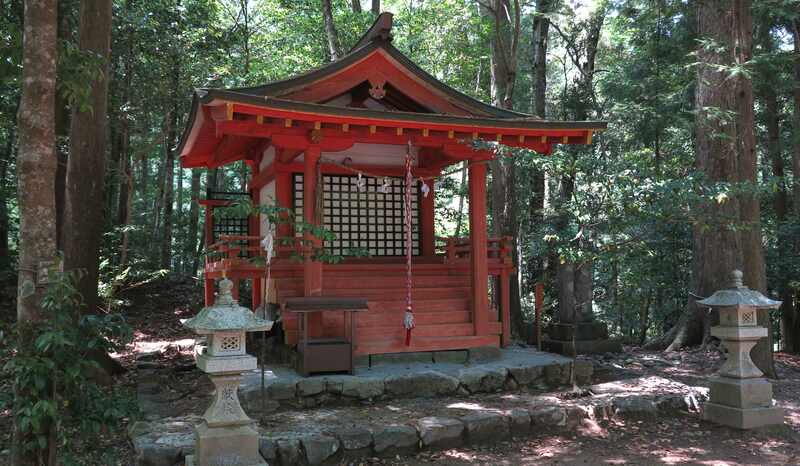 The original shrine was built by the Sun Goddess herself, according to legend. Here an eager husband is ready to make his prayers…. The shrine is very nice, built in the old and more simple style, before too much chinese style influenced the architecture. But after making our wishes for a long and happy marriage, we found out that the important action was going on behind the scenes (as always). Behind the main shrine complex was this small wooden shrine, not looking like anything special, but there was a long line to go behind the shrine and touch/rub the rocks which are exposed there. We joined the line and rubbed the rocks the best we could! Sorry for the dark picture, the shrine was hidden in a dim corner between the trees. But the action was not finished yet. 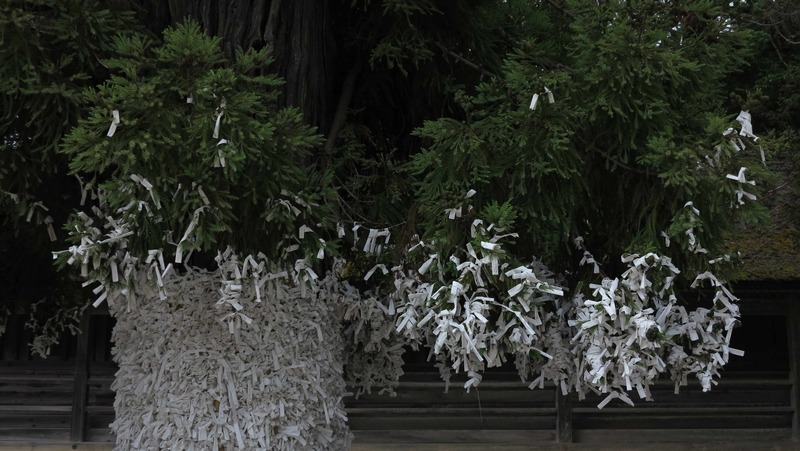 On the side of the main shrine, couples were writing down prayers and attaching them to the trees. Marco made a very nice drawing and hid it well under the bark of one big tree. Now finally, our marriage should be secured!!! 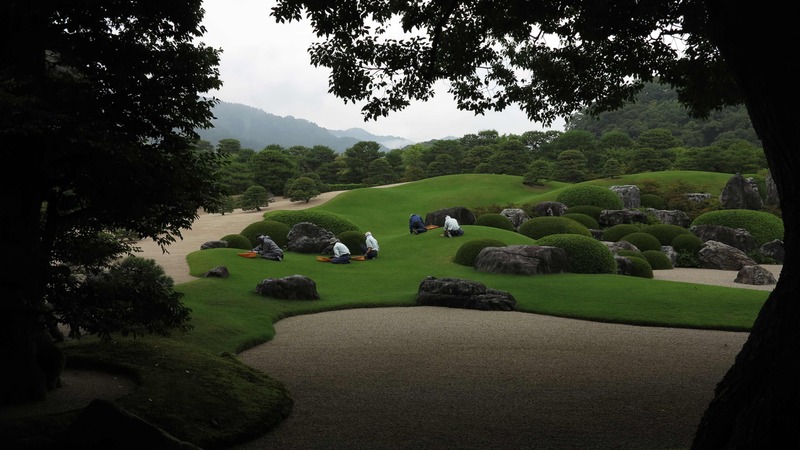 From Izumo we drove down to the Adachi Museum of Art. Even if it is a bit out of the way, located close to a small village in the hills, the museum is well worth a visit. 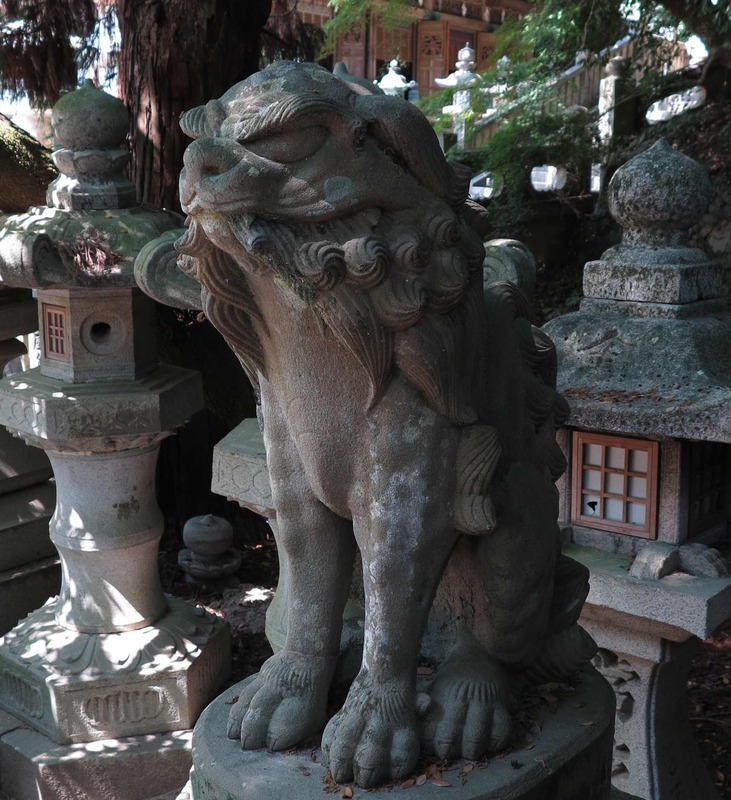 It has a nice collection of Japanese art but the most impressive thing is the garden. 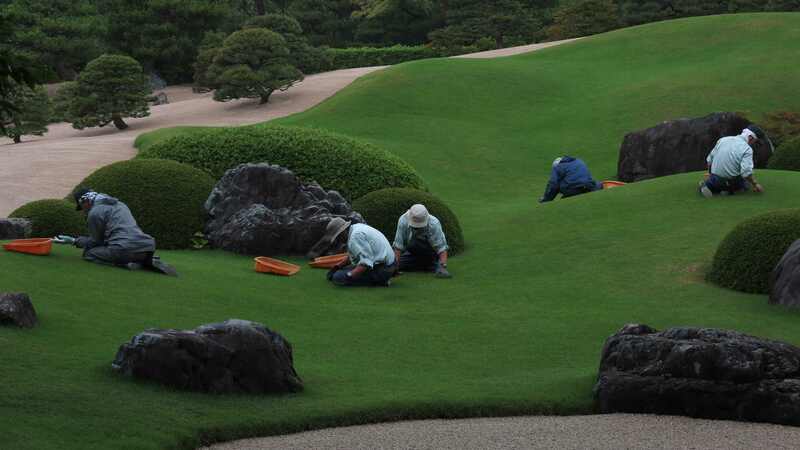 Voted the #1 garden in Japan for years, it is such a pleasure to view. A beautiful Japanese garden like this does not grow by itself!